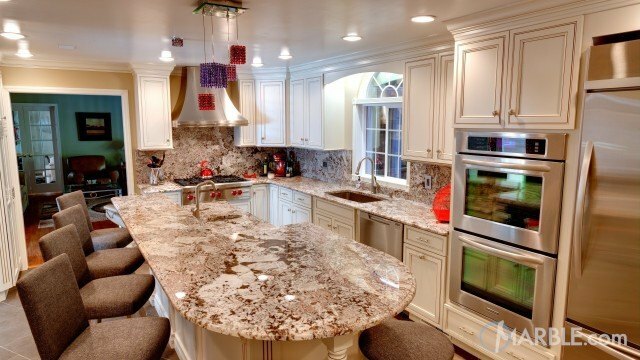 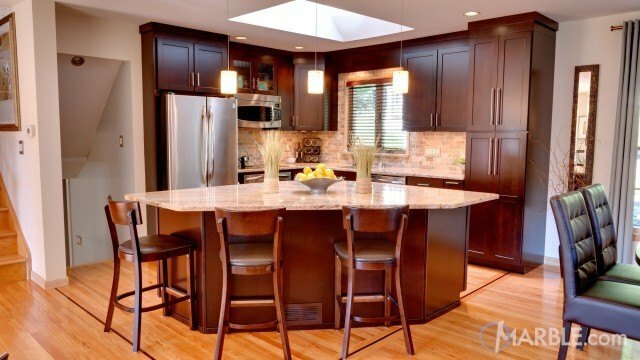 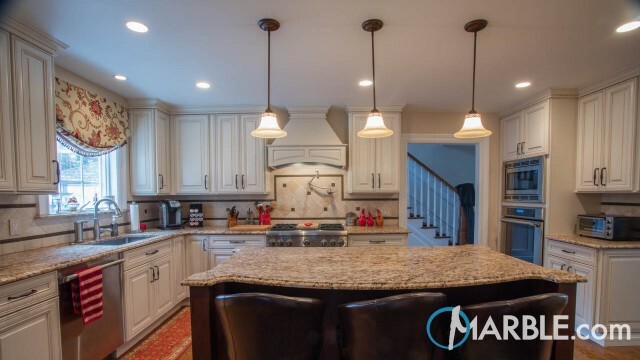 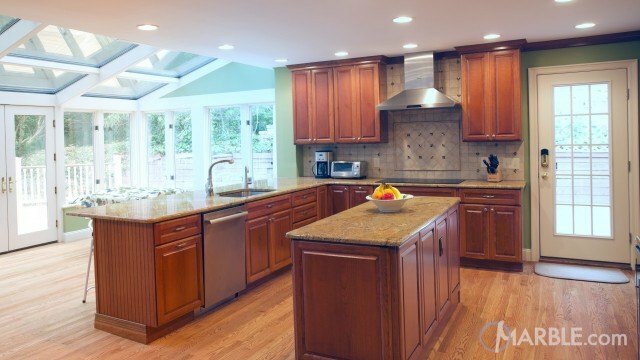 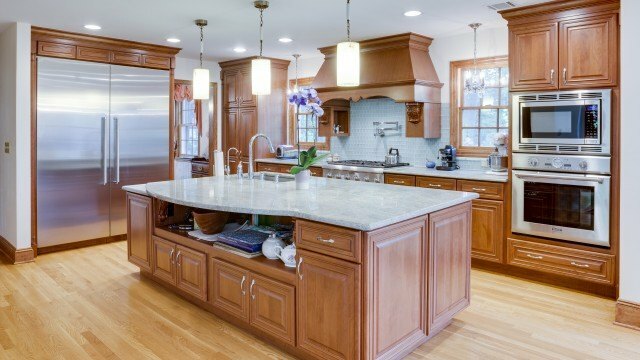 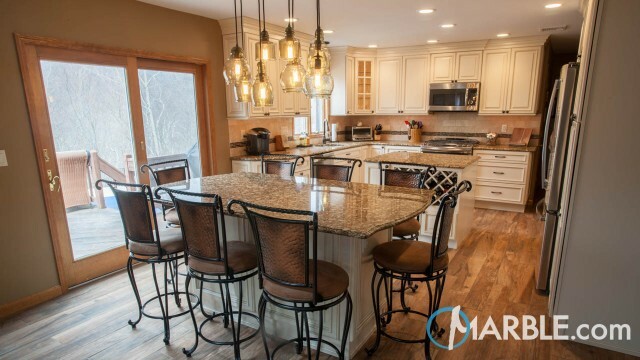 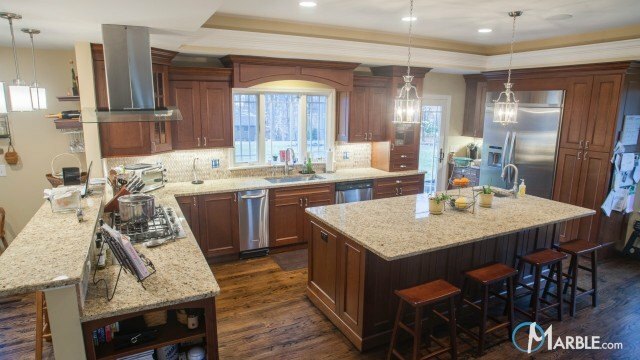 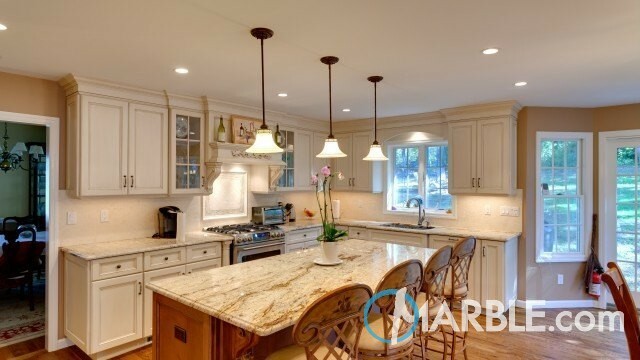 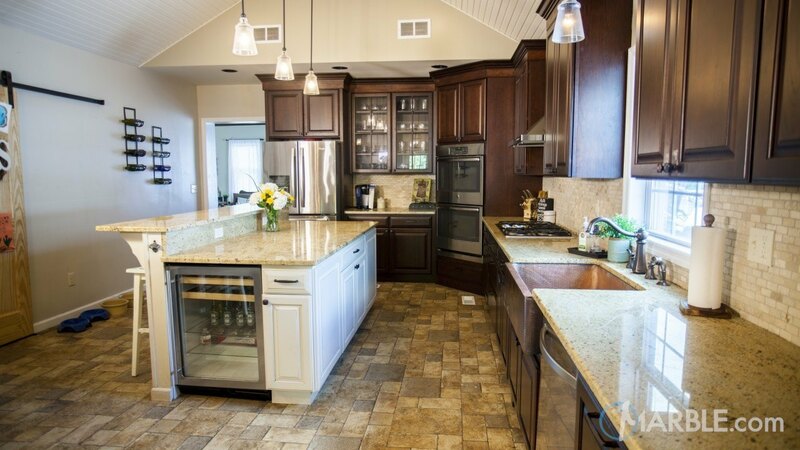 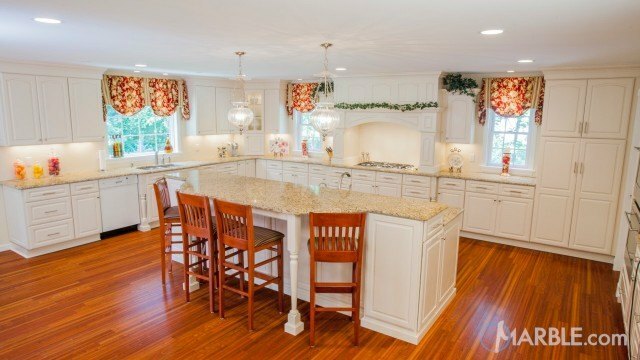 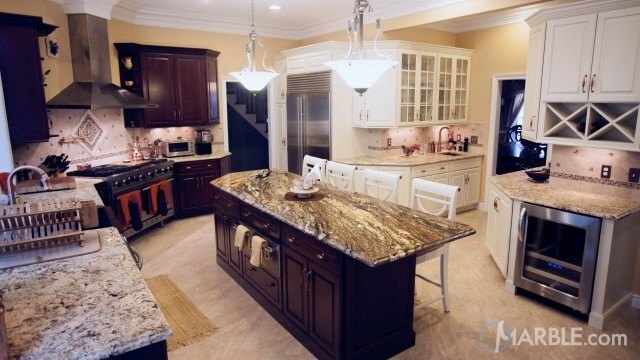 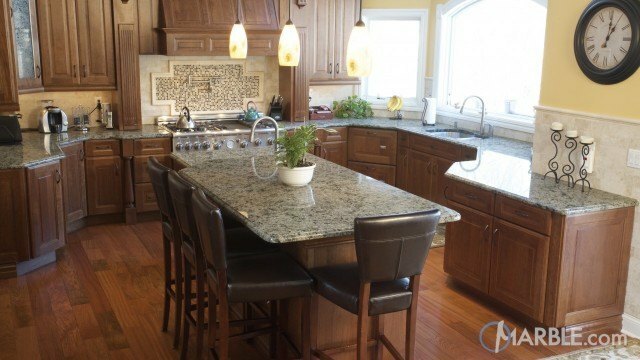 Madura Gold Granite Kitchen Countertop and Two Level Island. 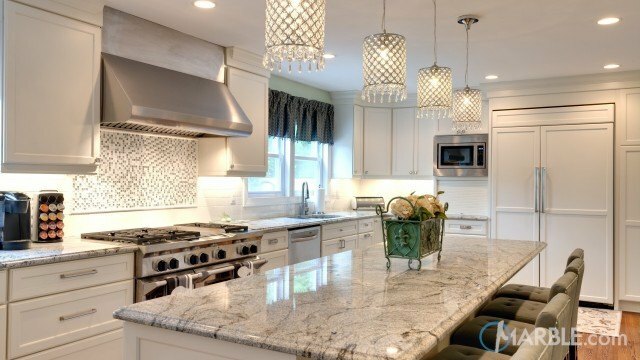 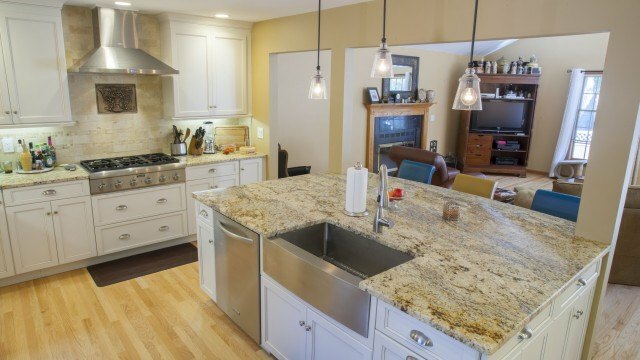 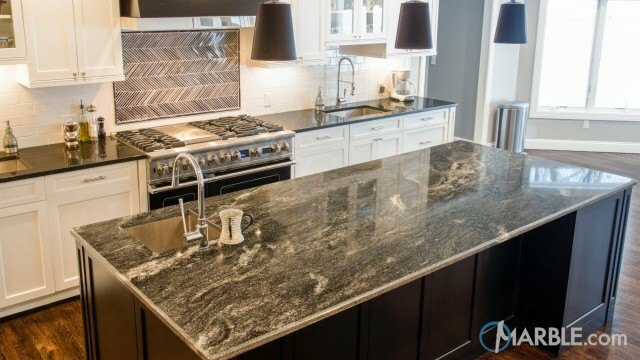 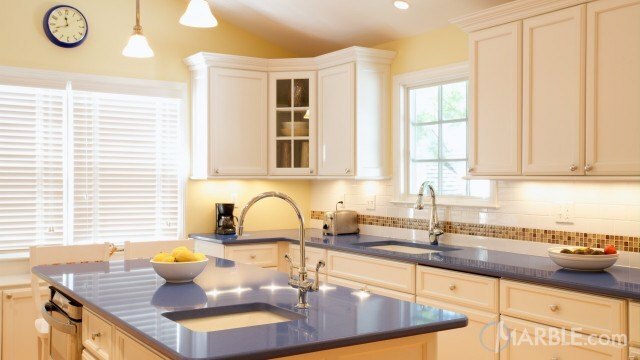 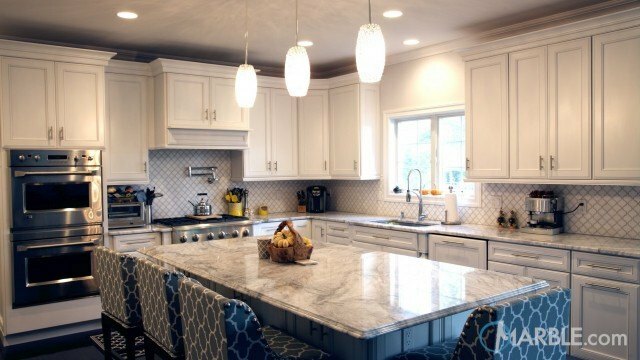 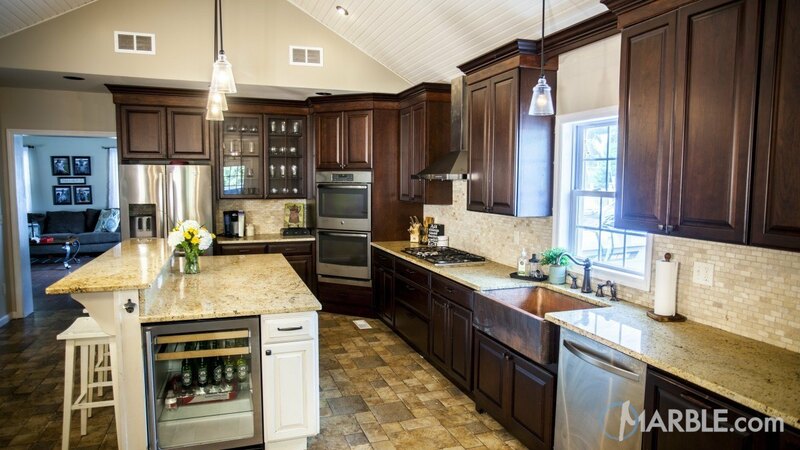 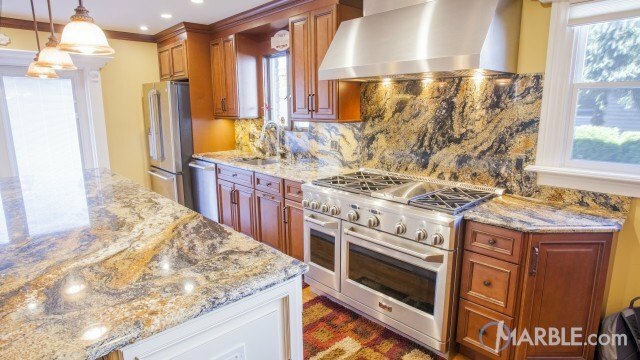 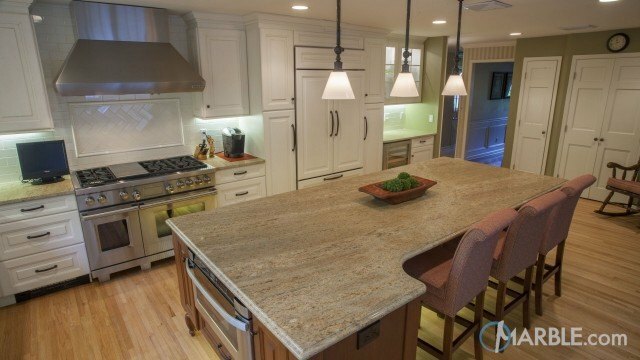 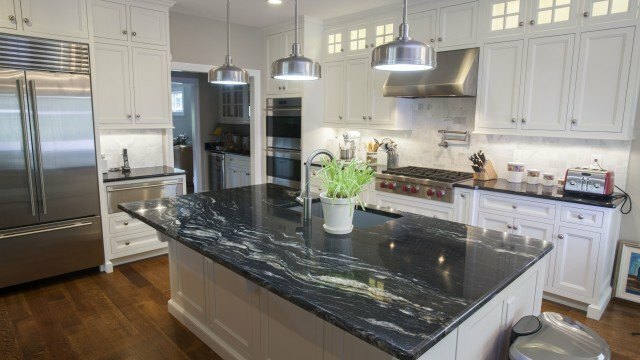 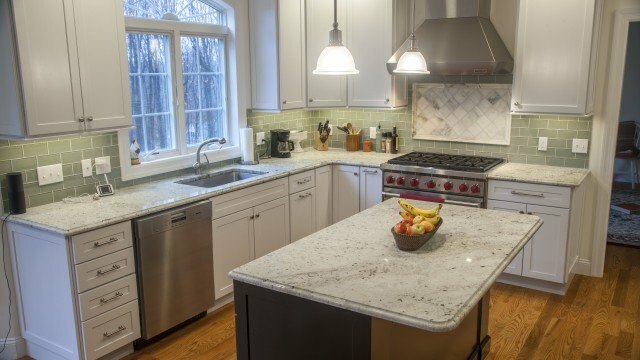 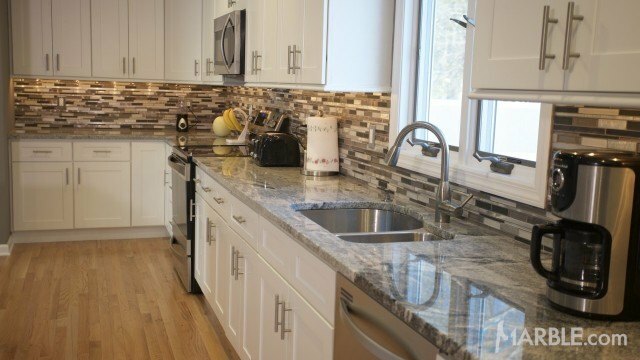 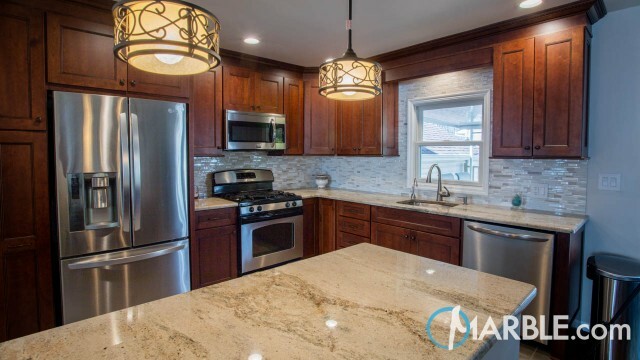 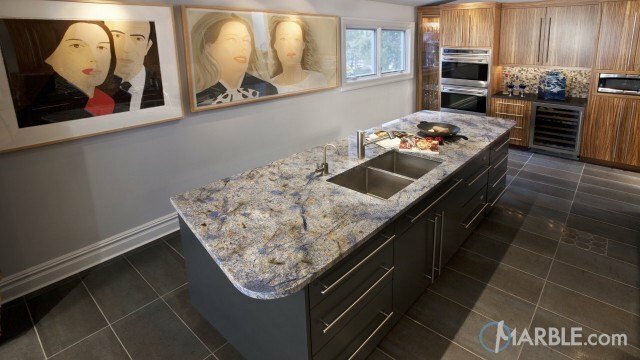 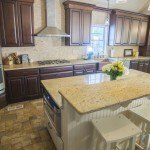 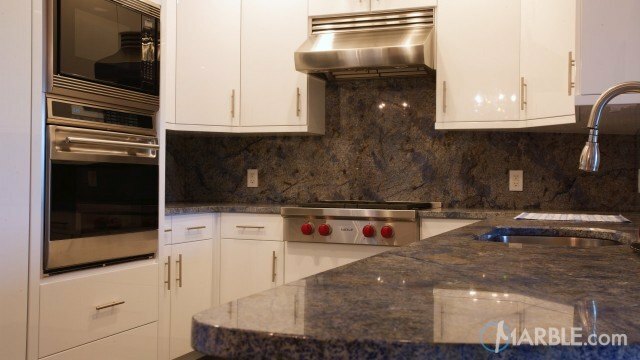 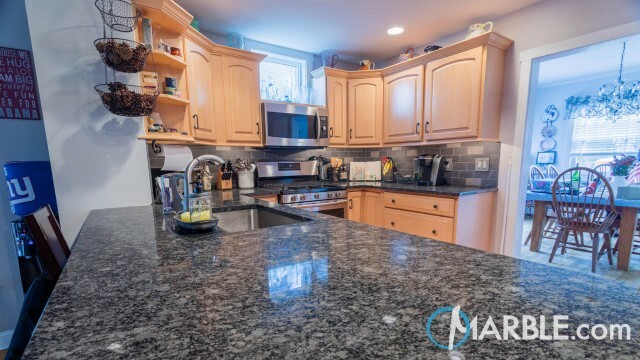 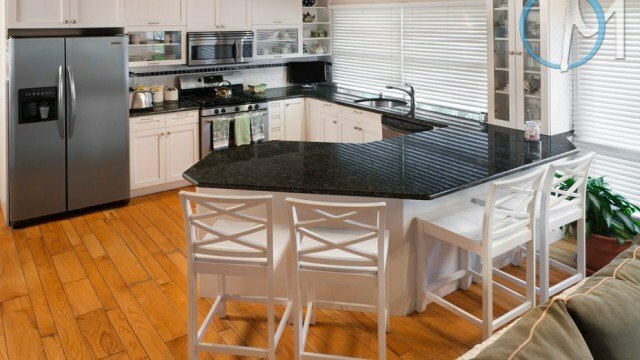 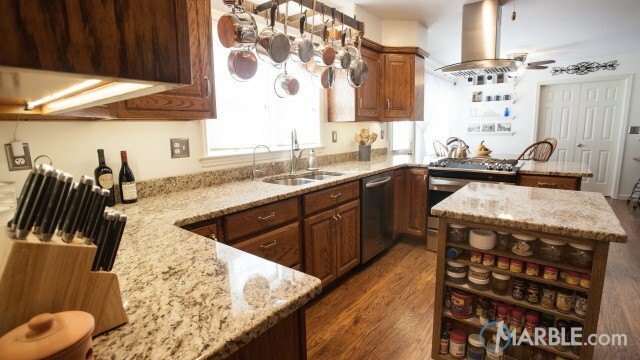 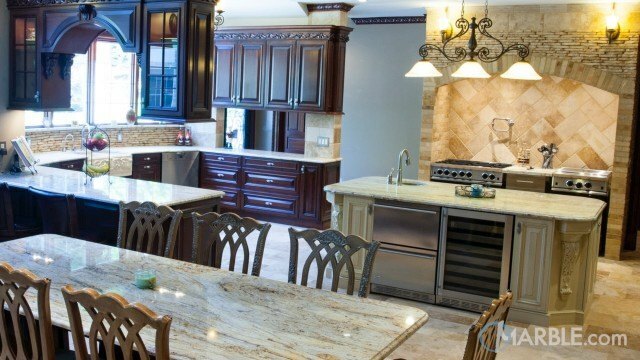 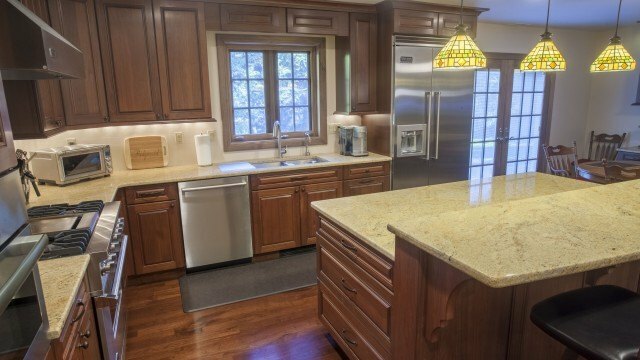 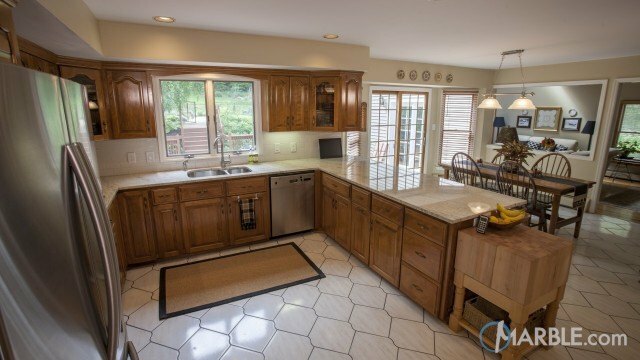 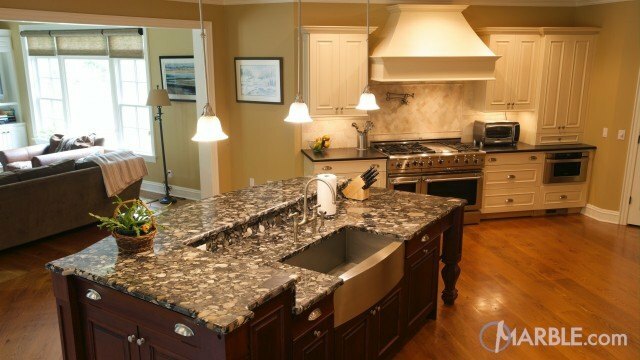 Madura Gold Granite Kitchen Countertop and Island. 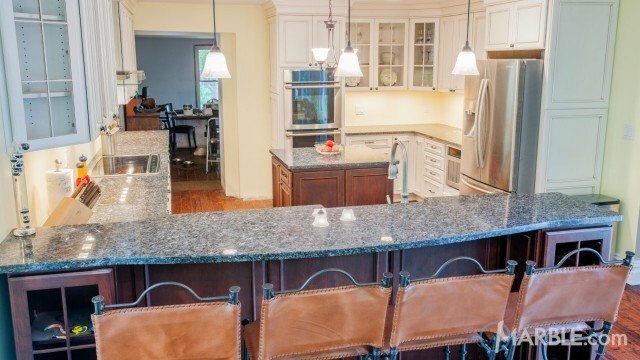 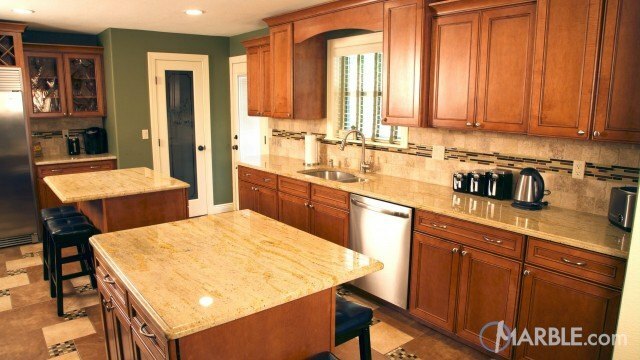 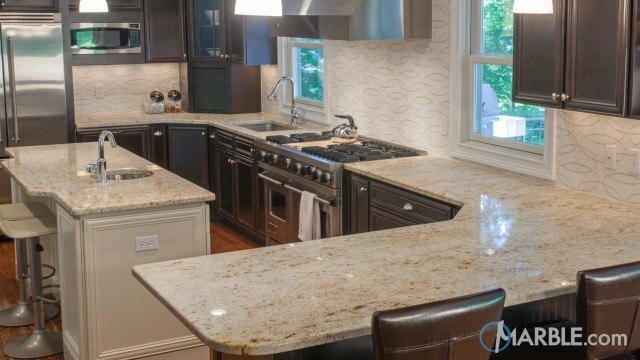 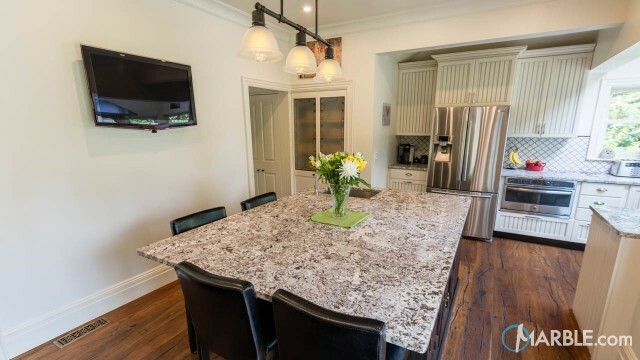 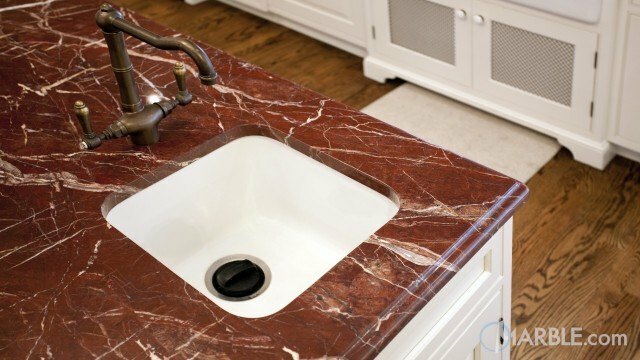 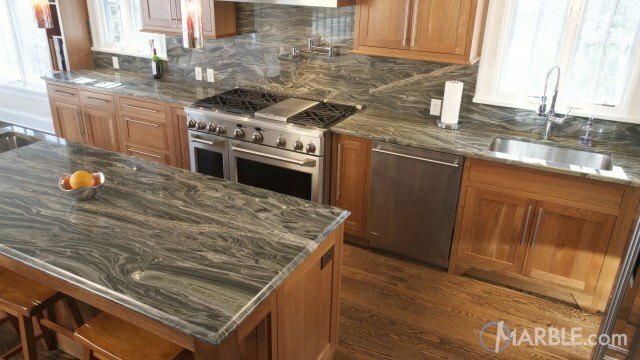 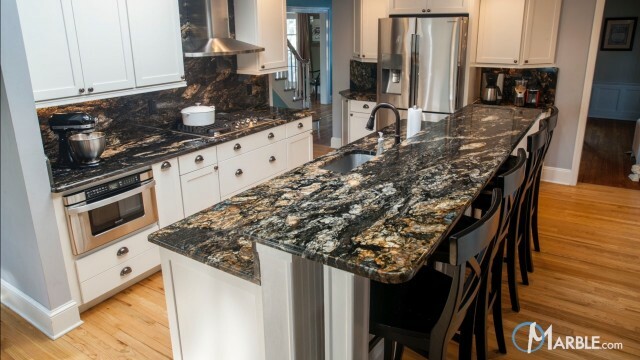 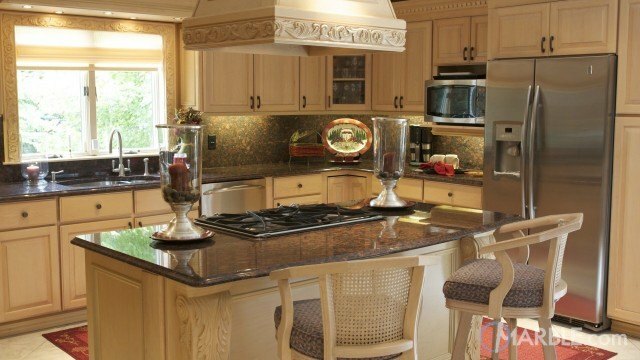 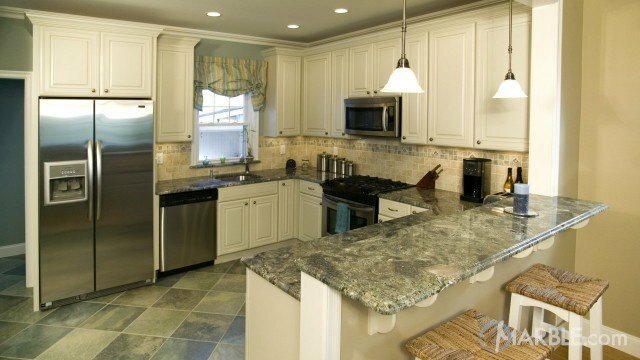 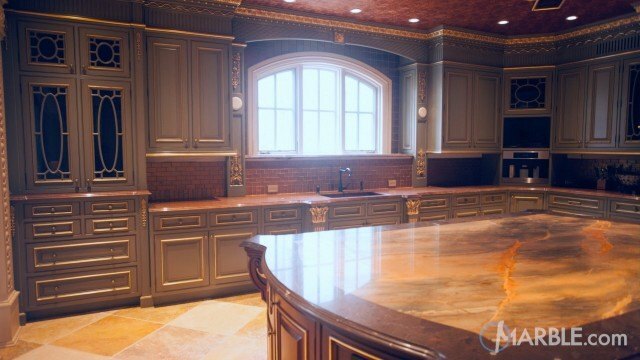 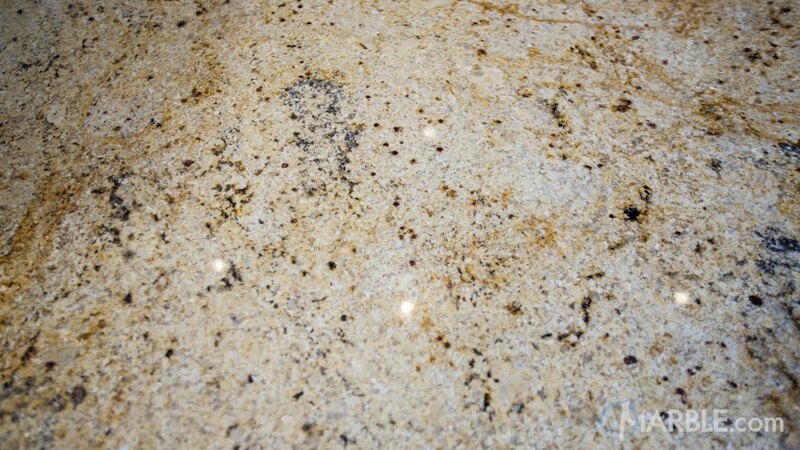 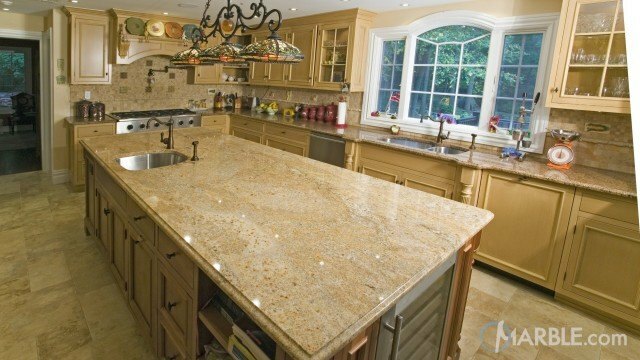 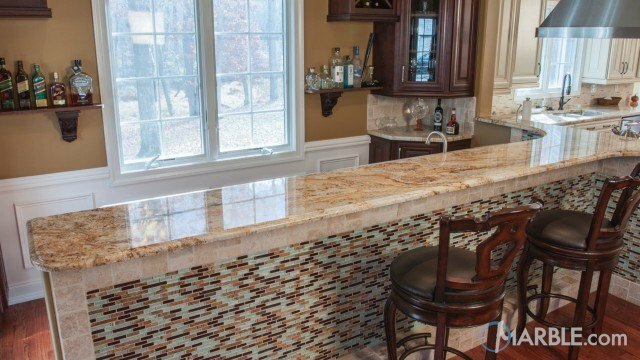 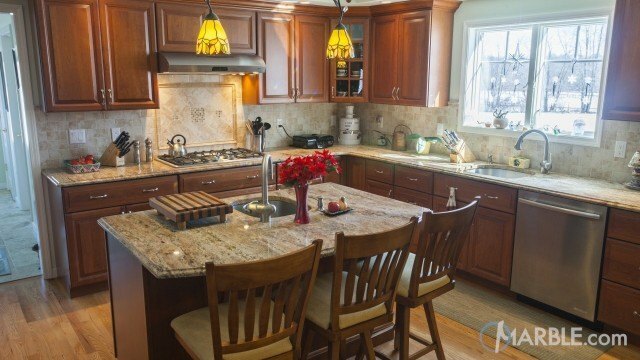 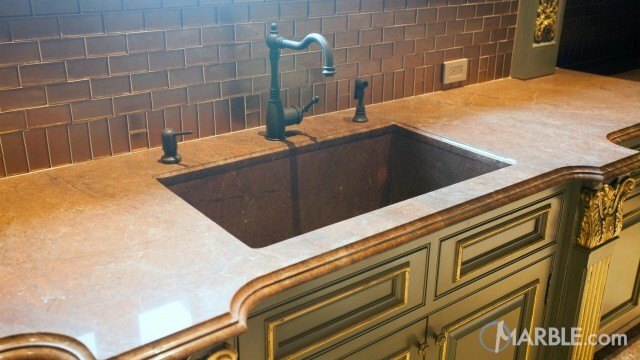 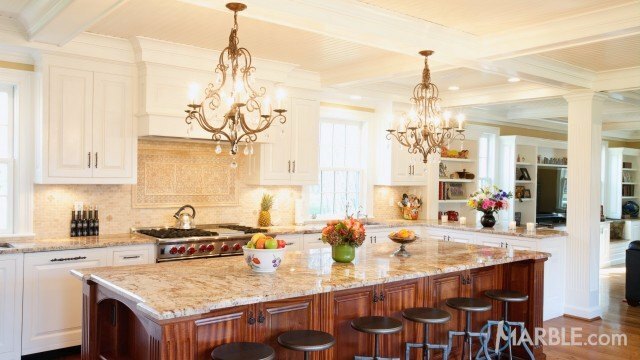 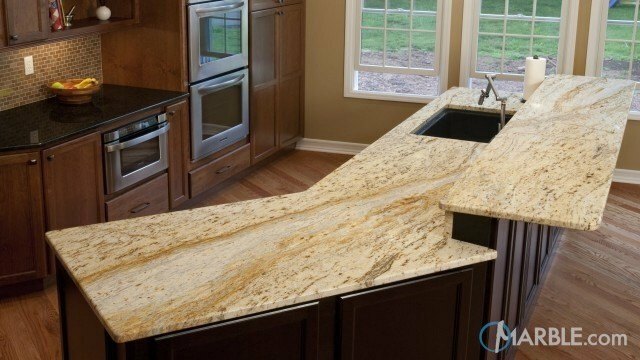 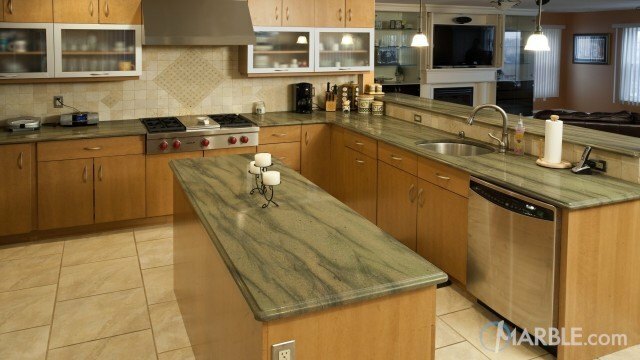 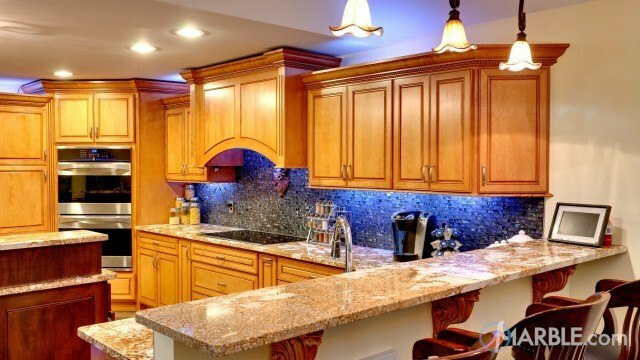 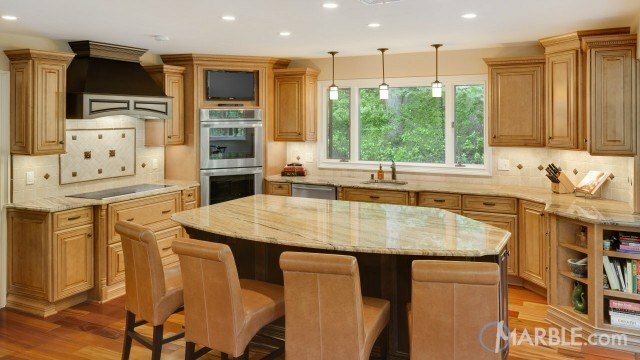 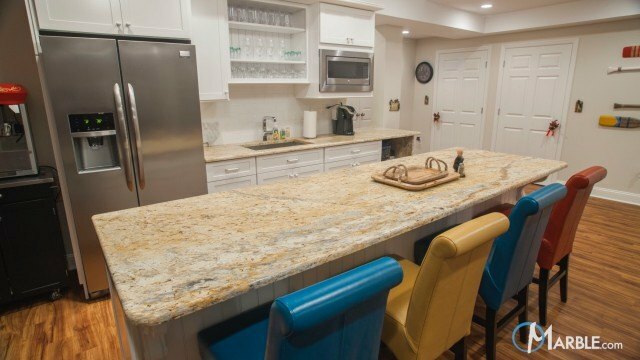 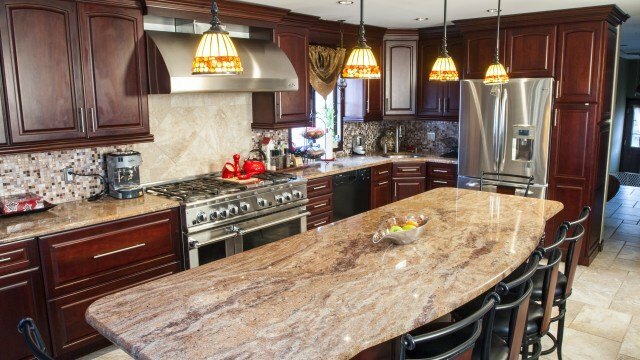 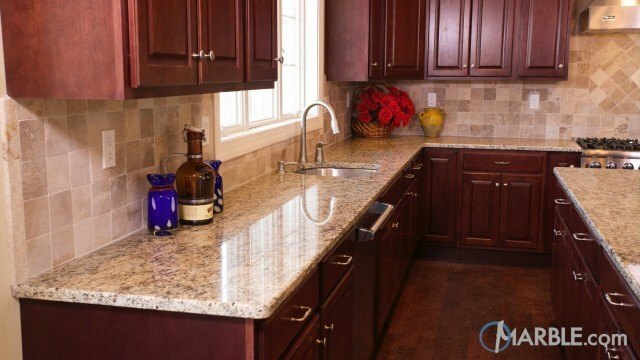 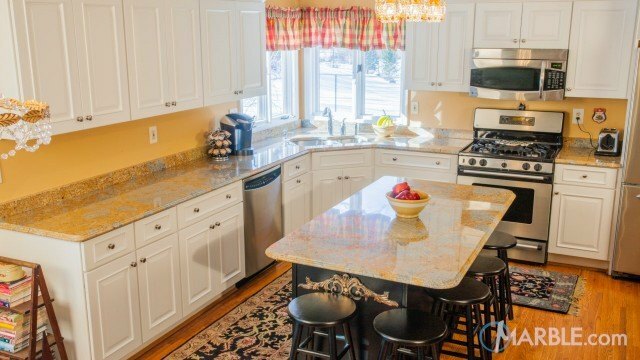 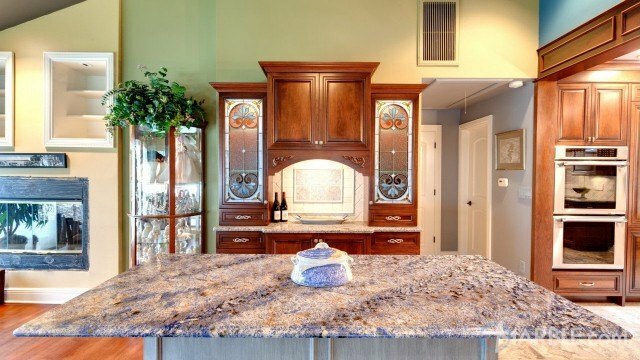 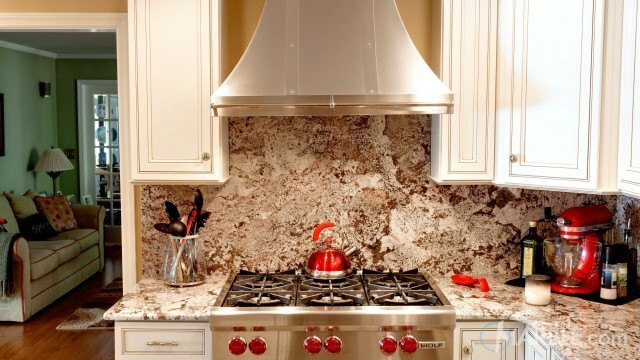 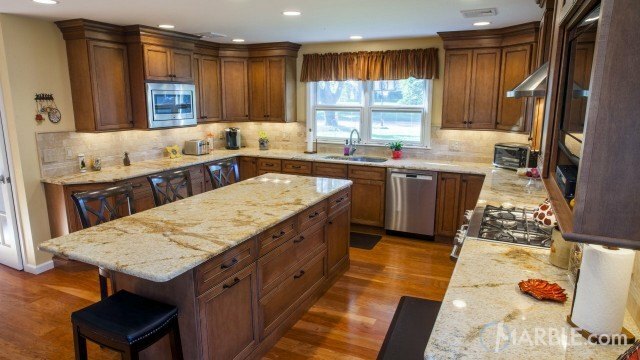 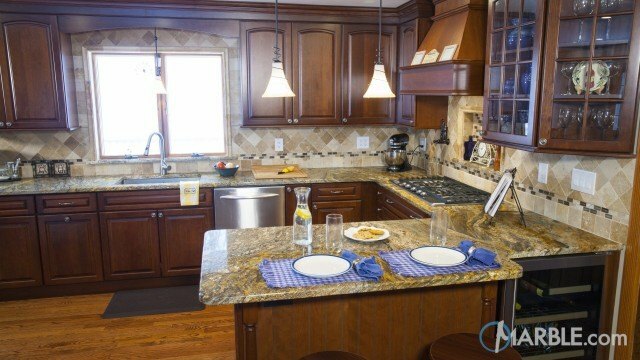 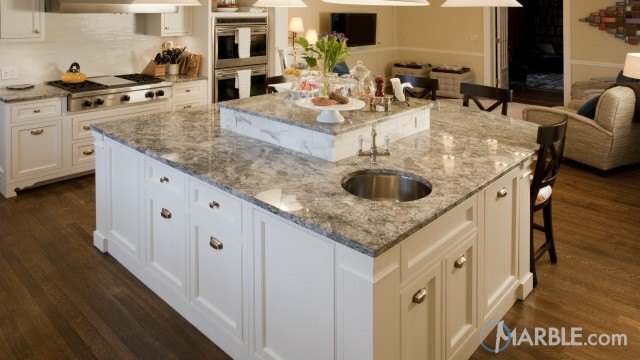 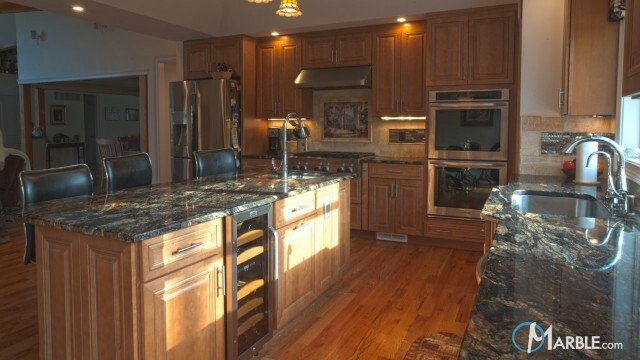 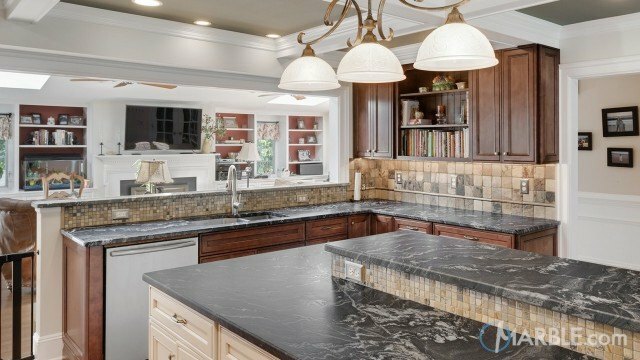 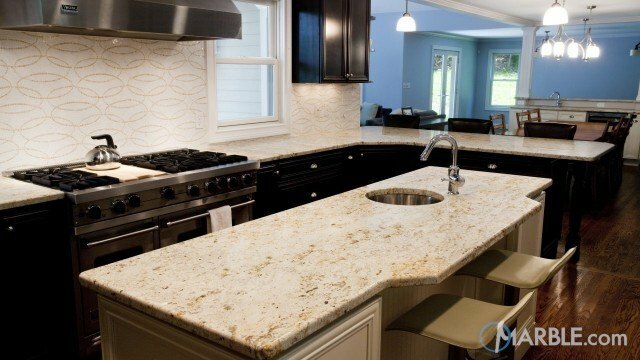 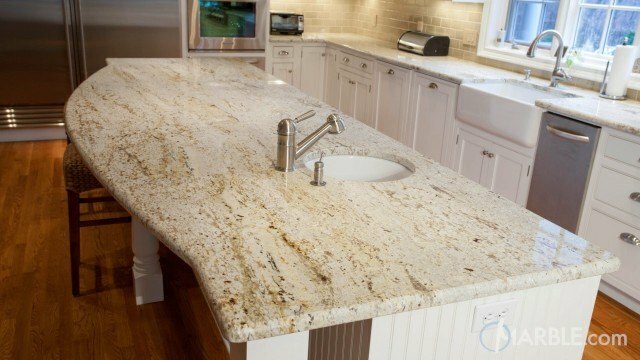 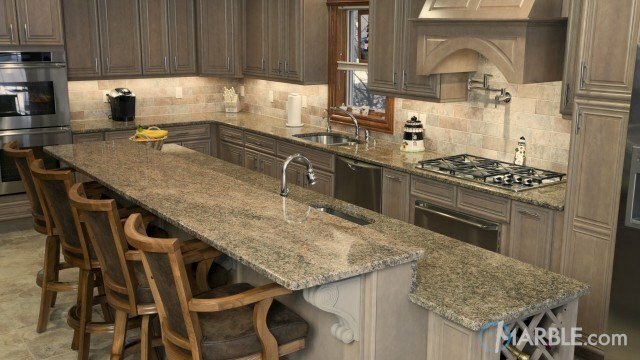 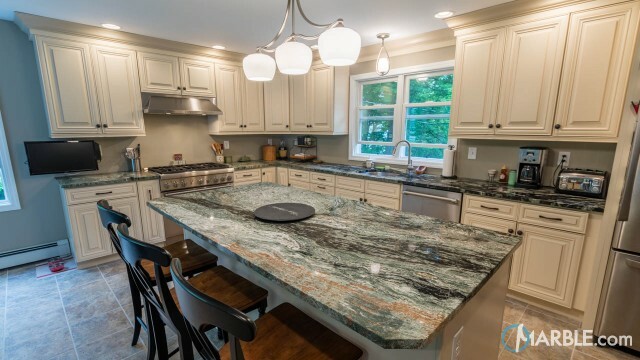 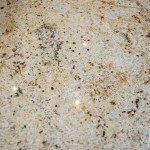 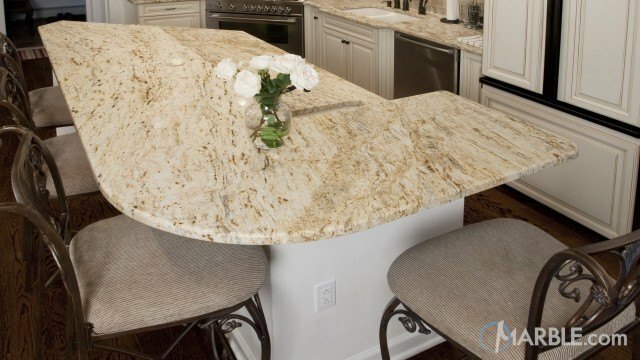 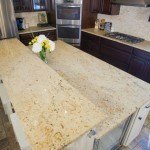 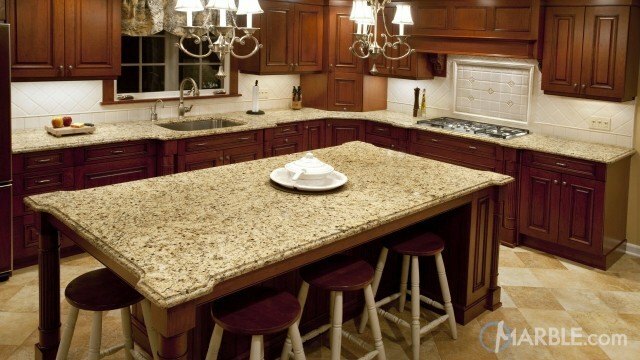 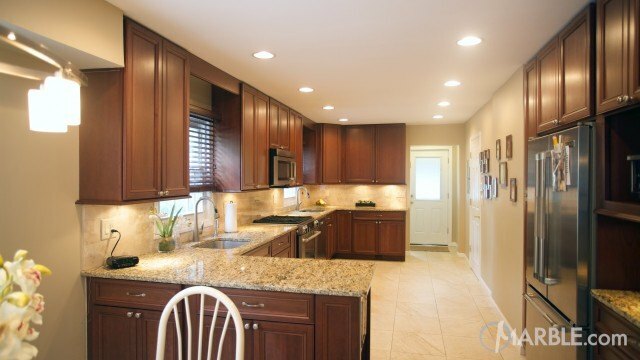 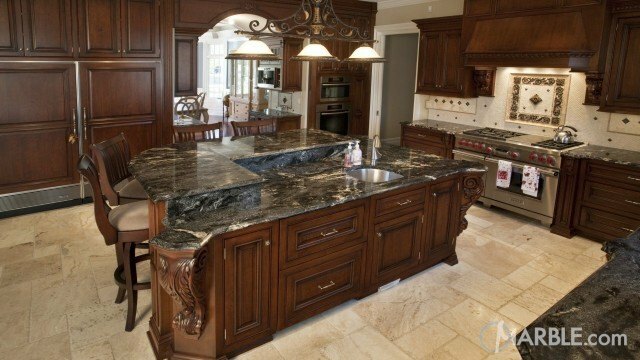 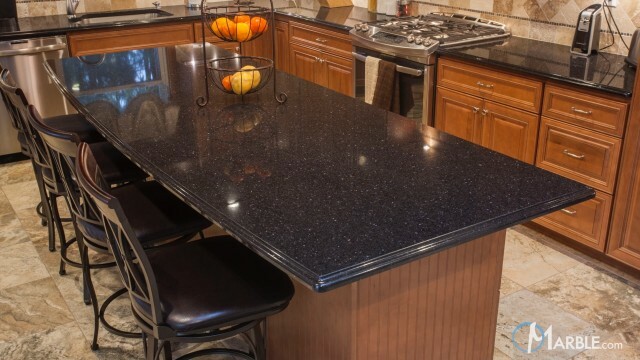 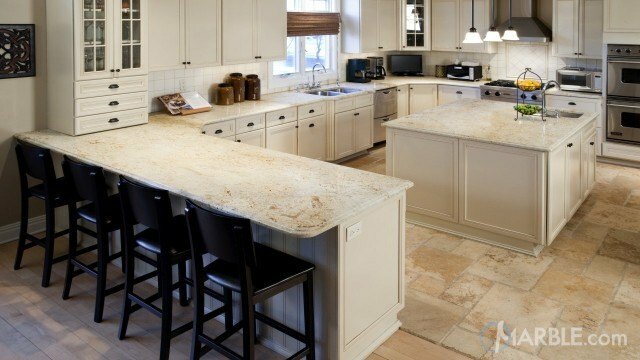 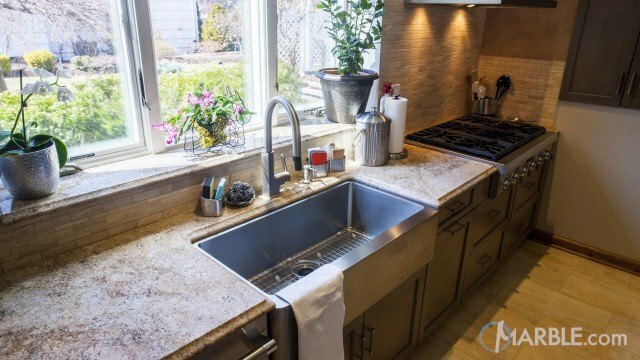 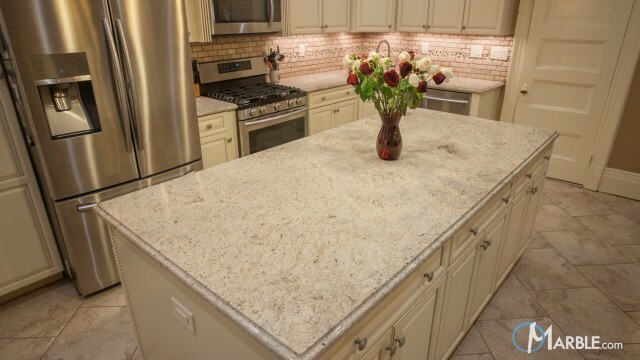 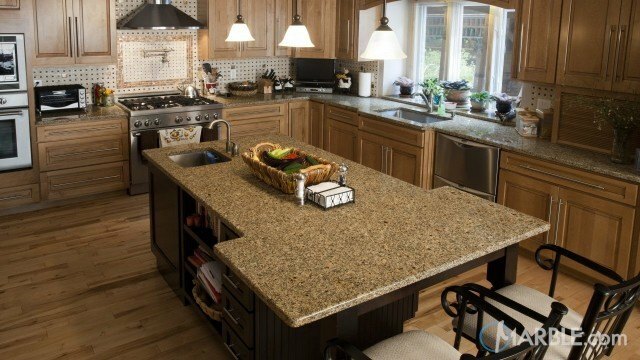 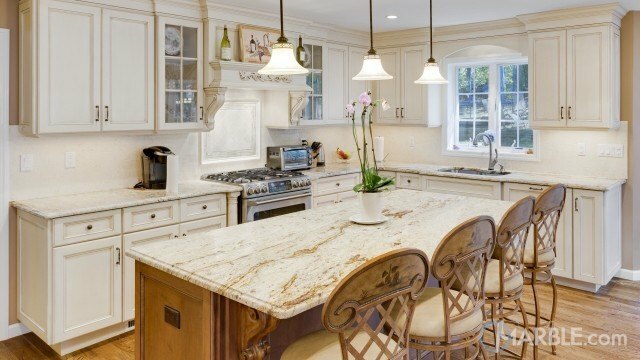 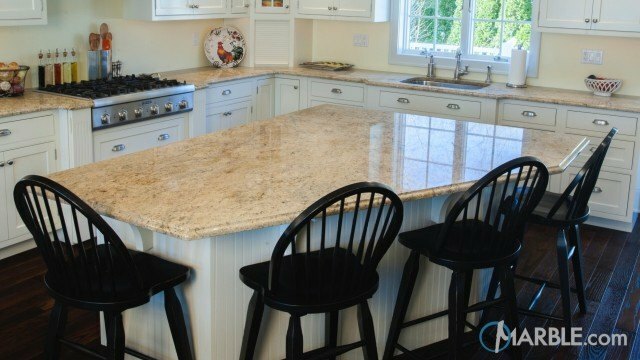 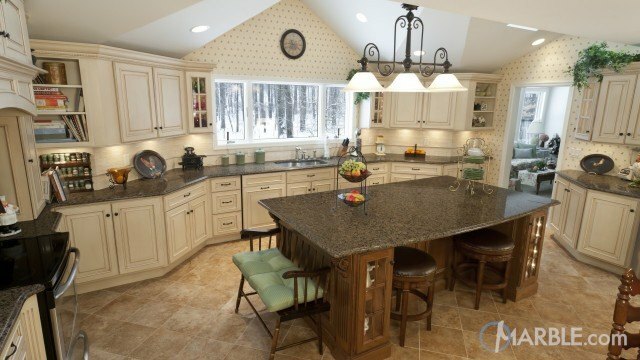 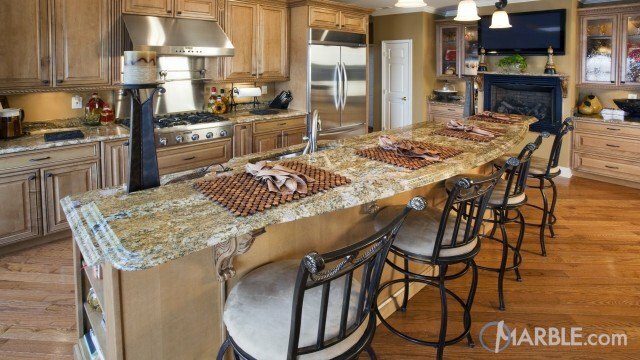 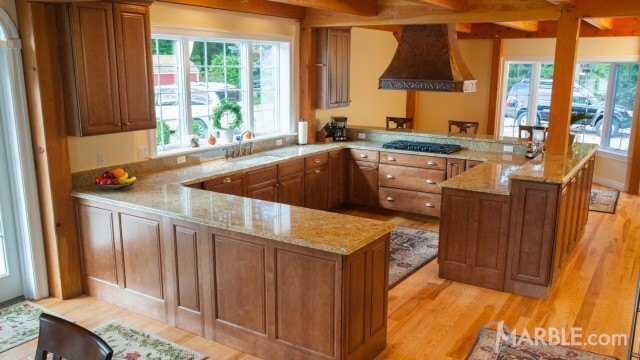 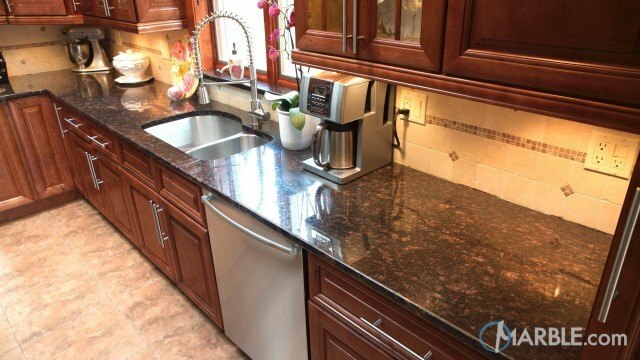 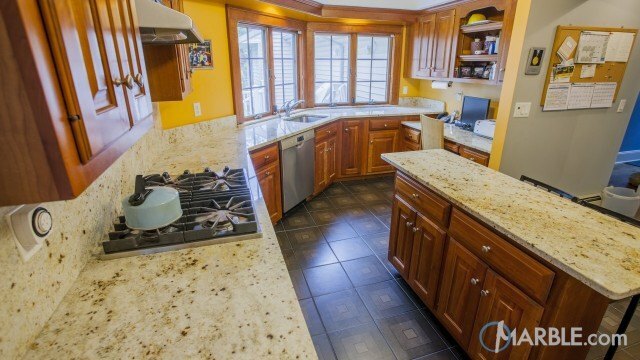 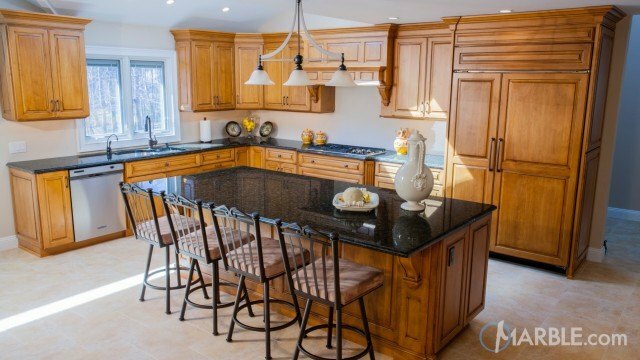 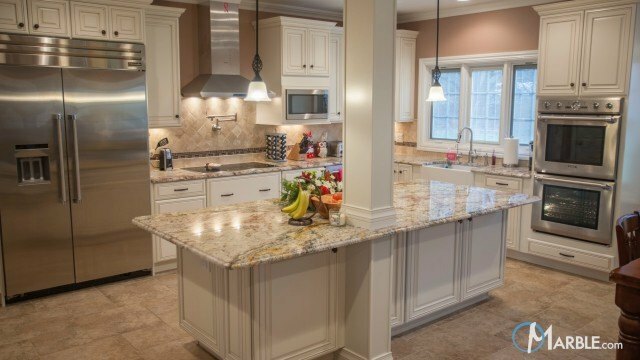 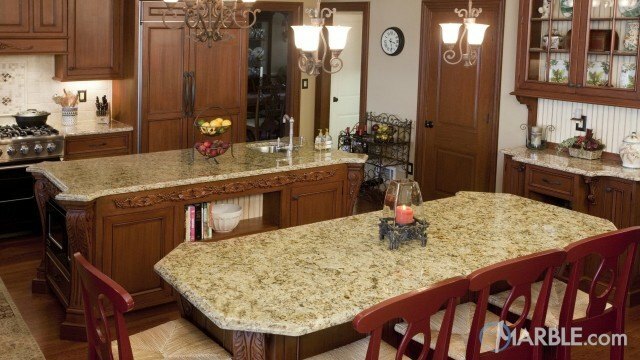 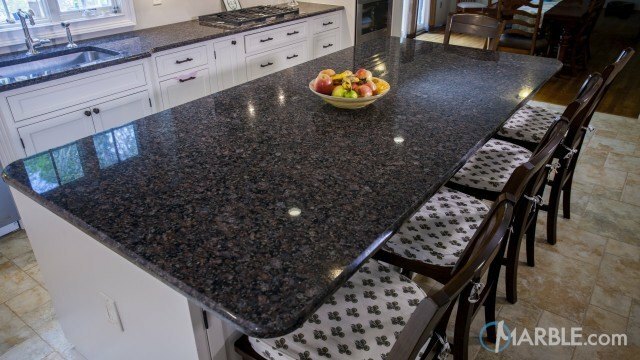 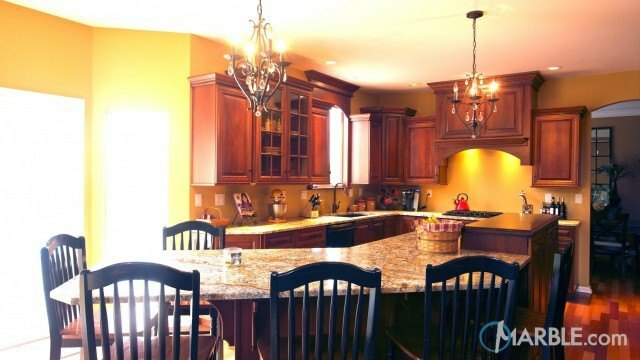 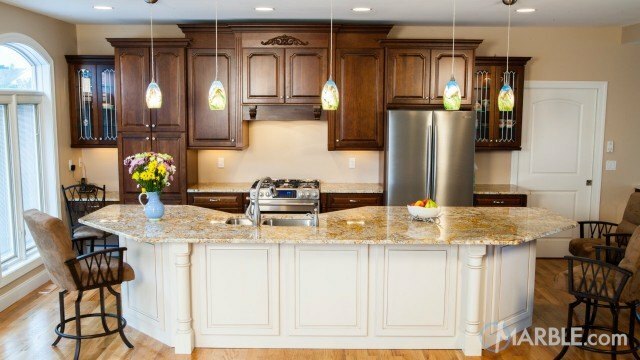 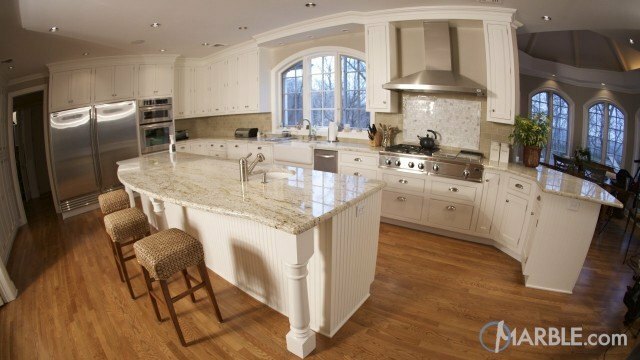 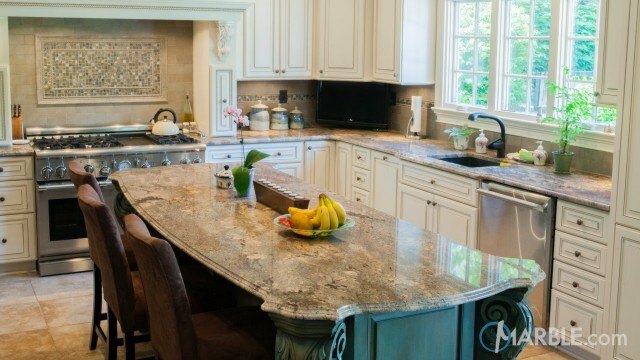 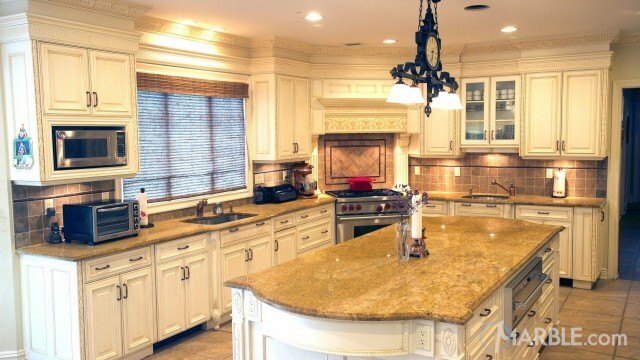 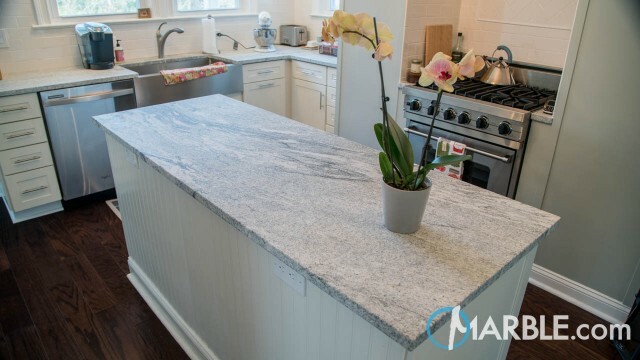 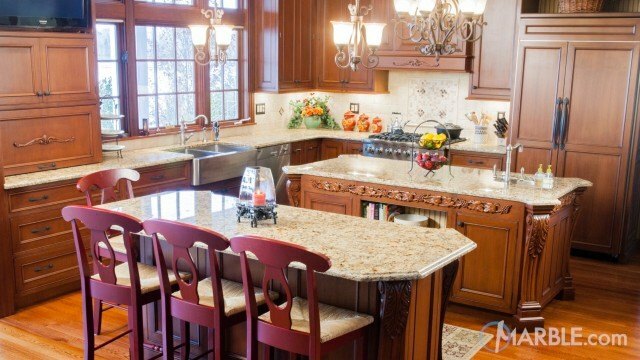 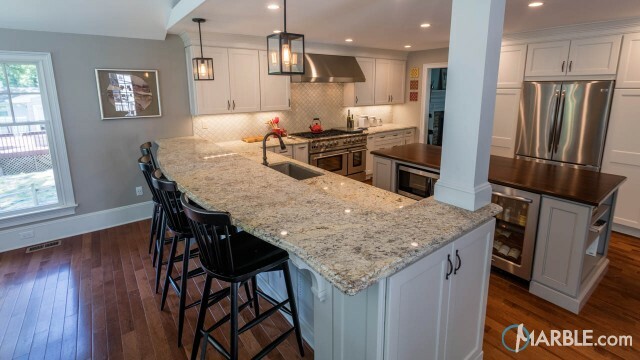 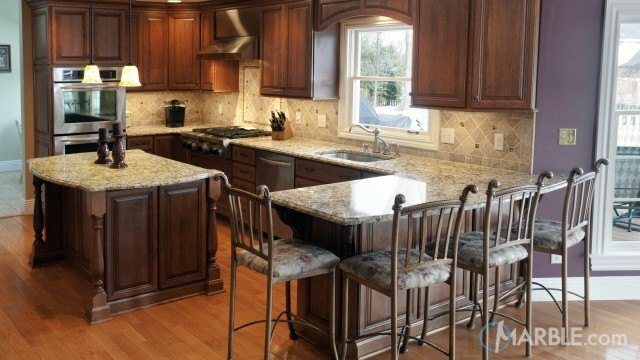 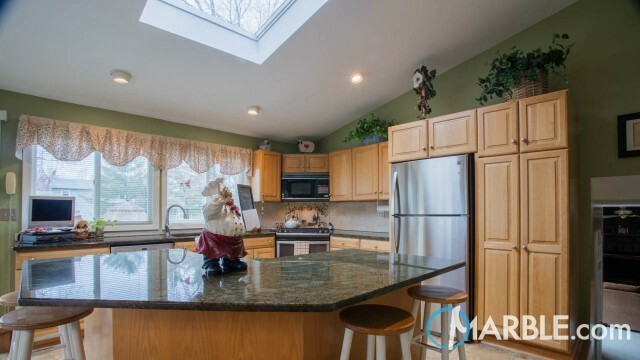 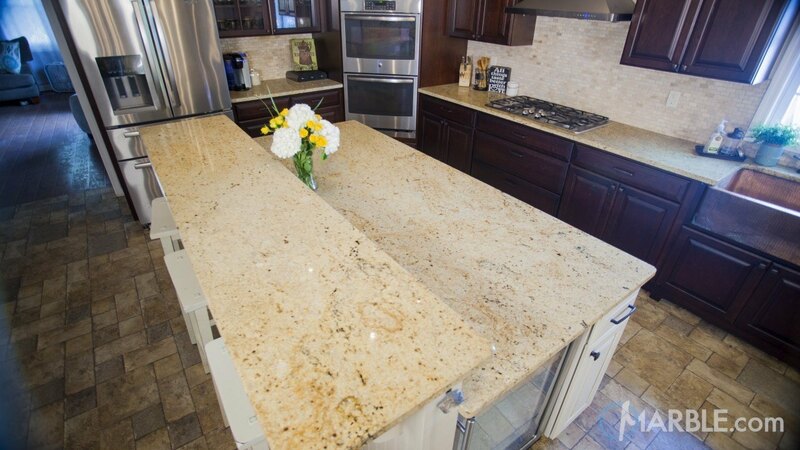 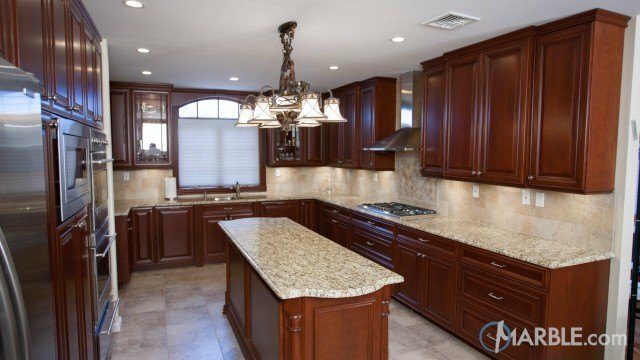 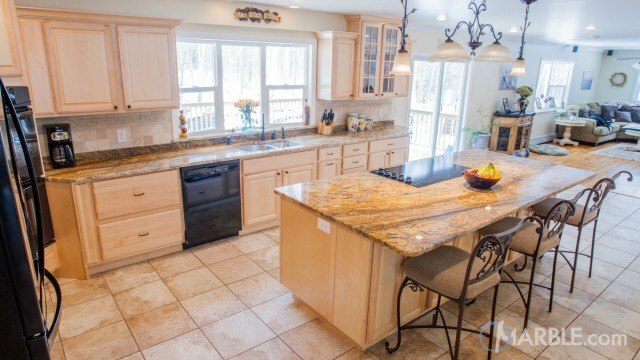 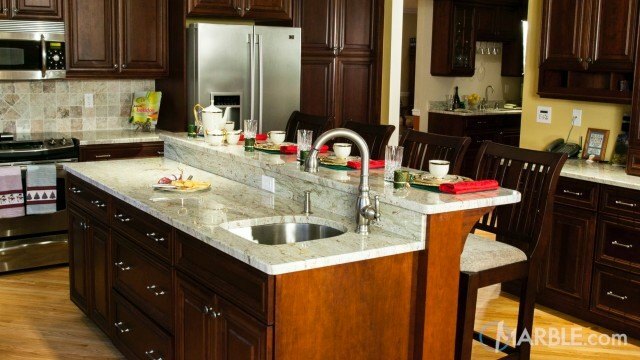 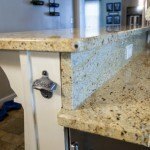 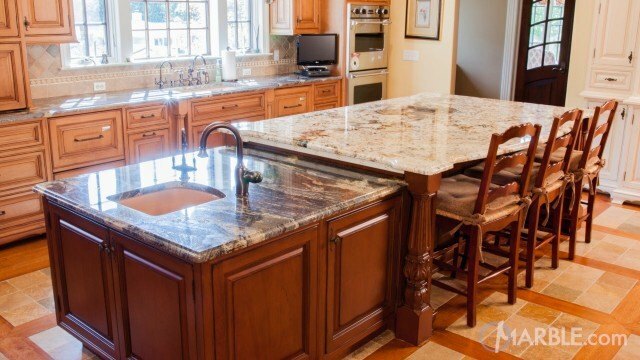 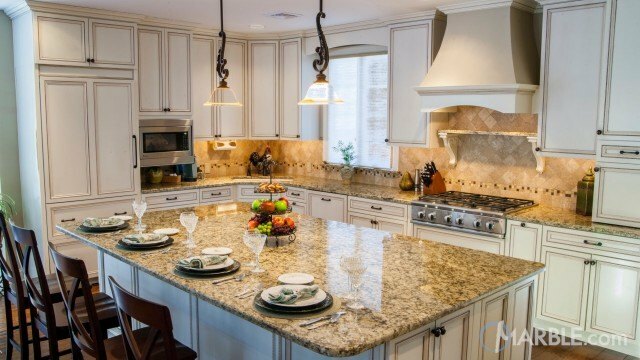 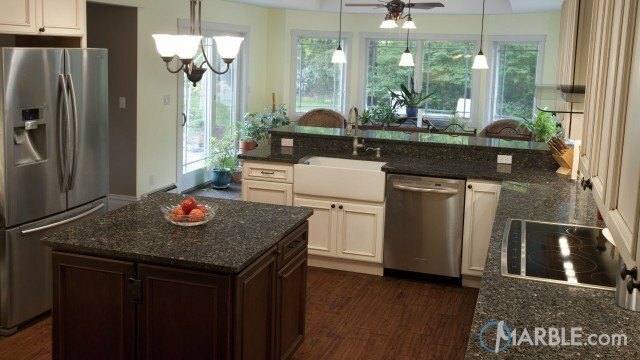 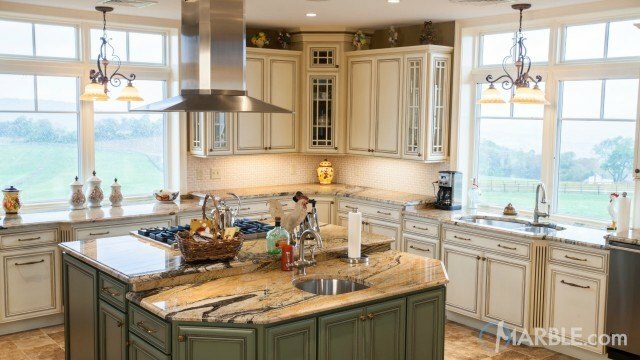 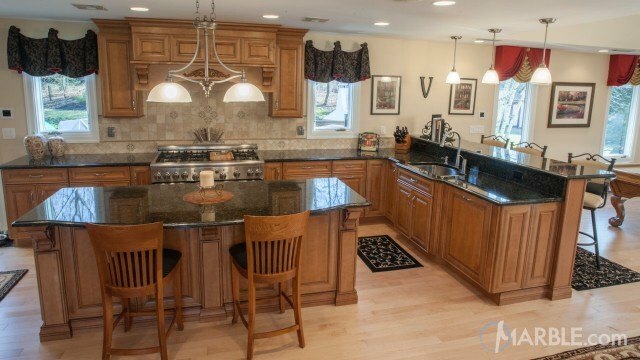 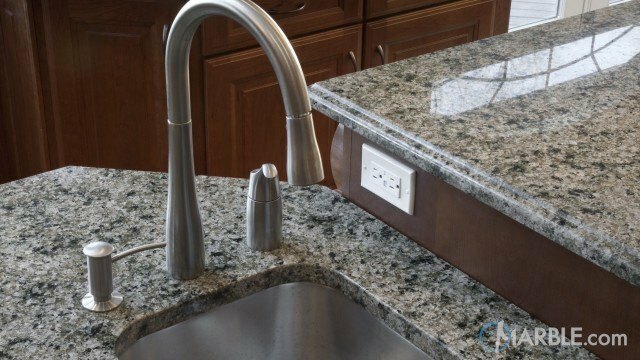 Madura Gold granite kitchen counter top with a two level island. 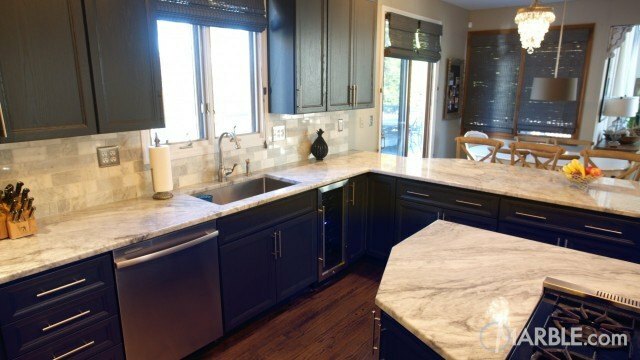 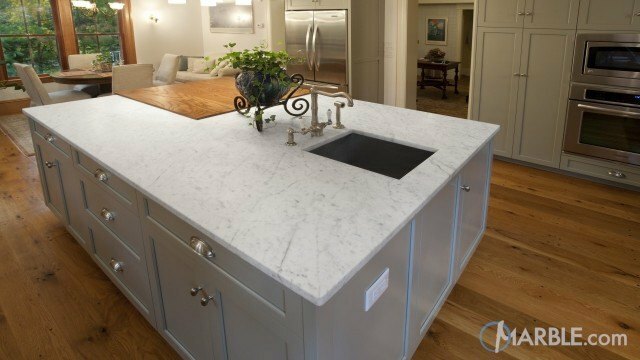 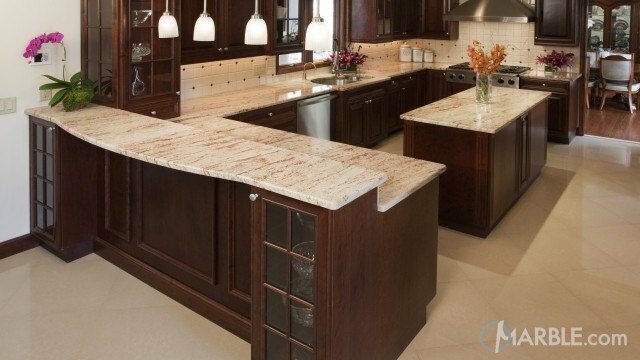 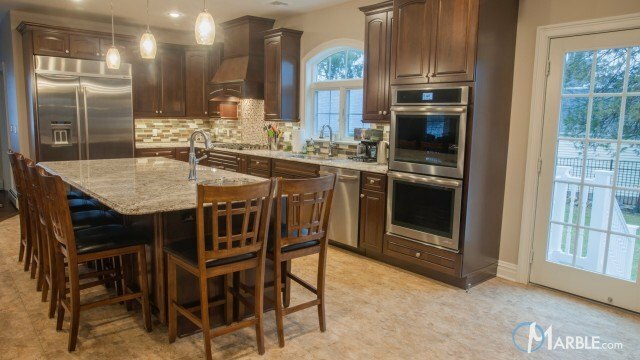 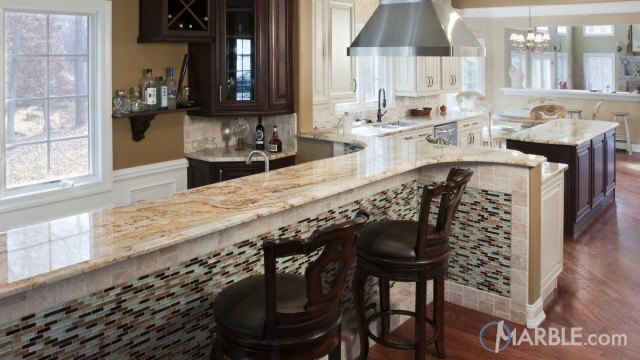 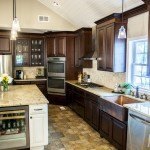 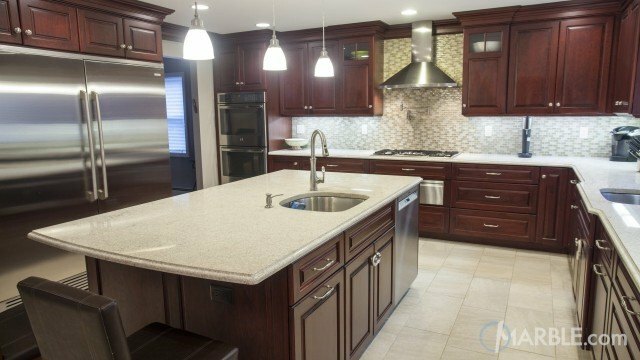 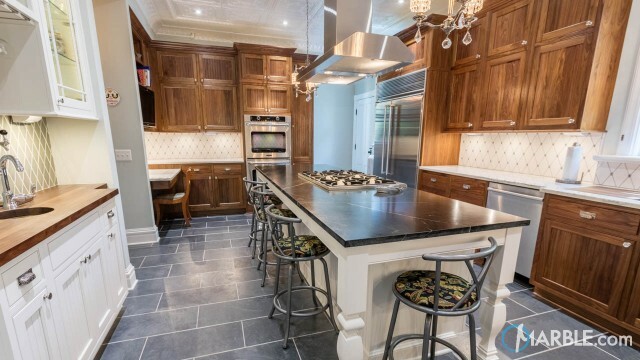 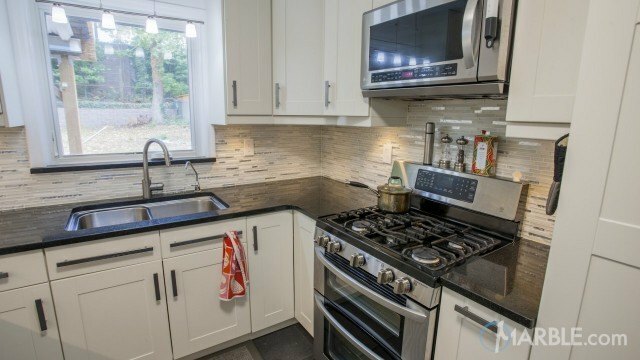 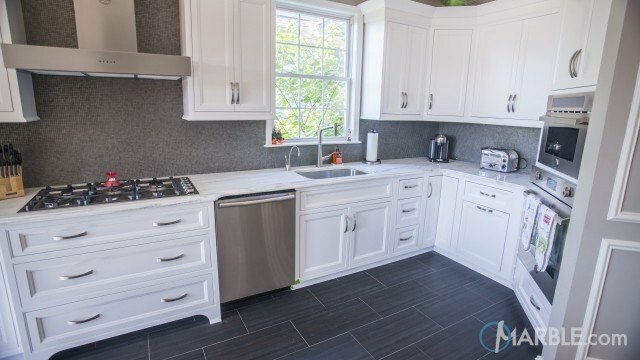 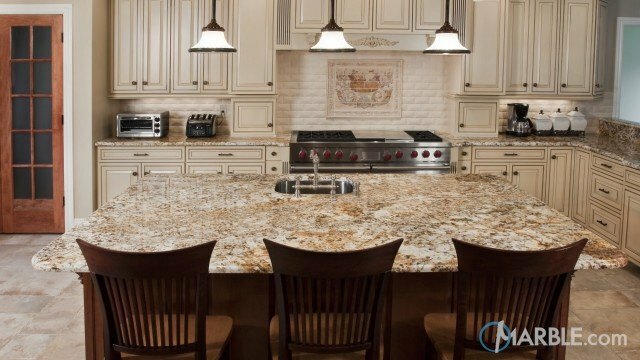 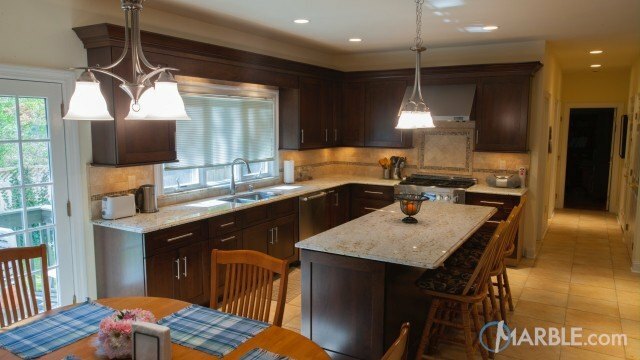 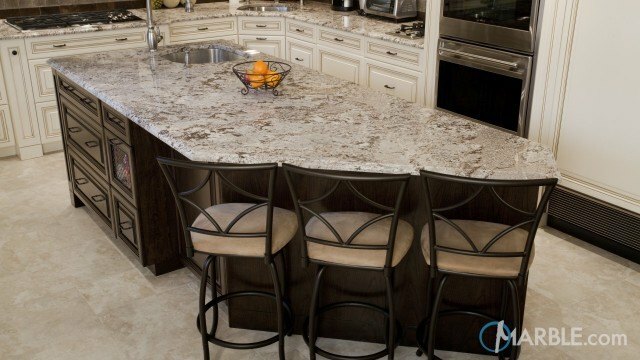 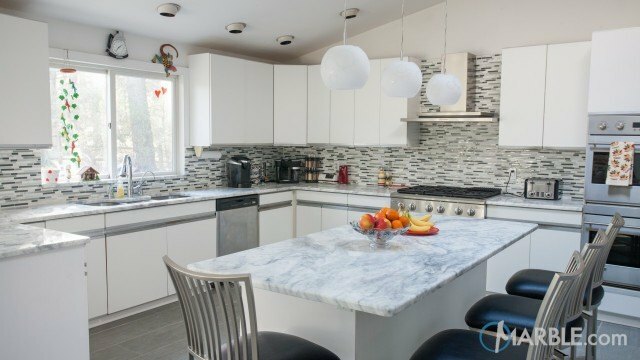 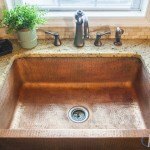 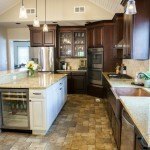 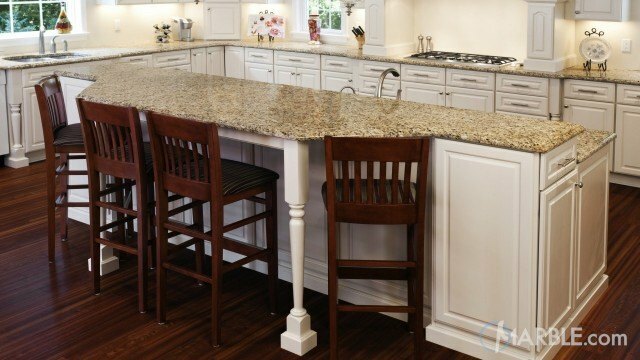 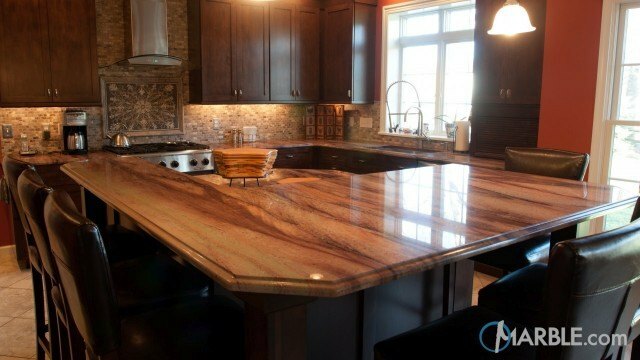 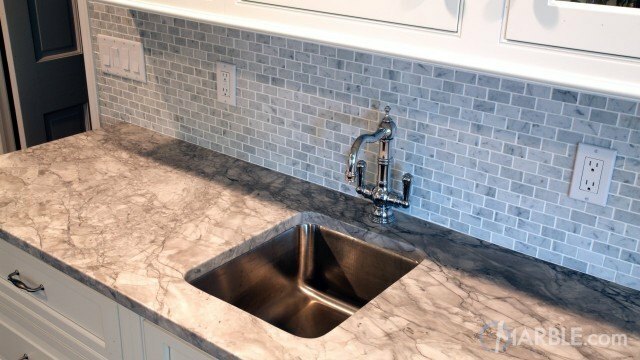 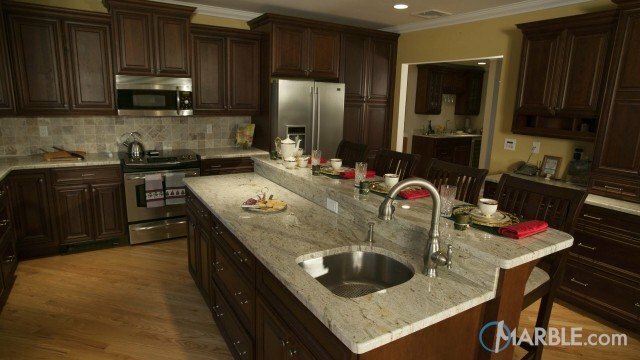 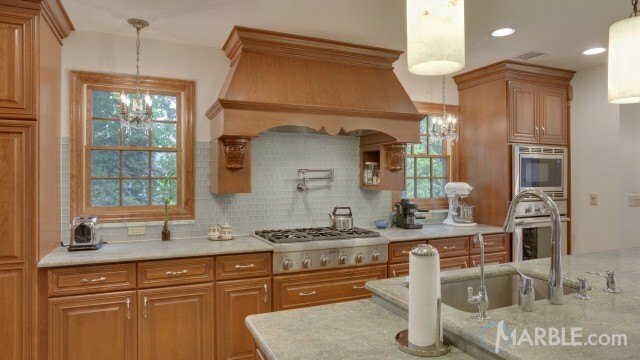 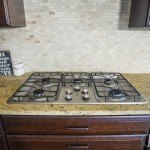 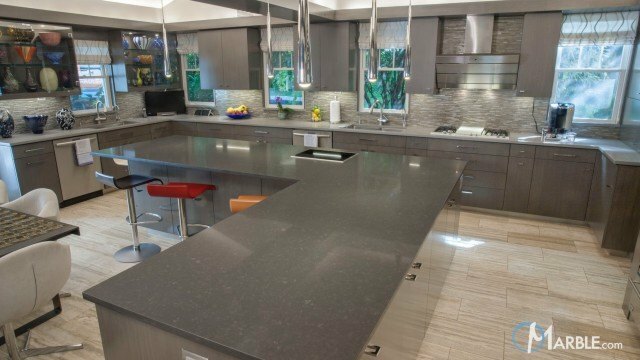 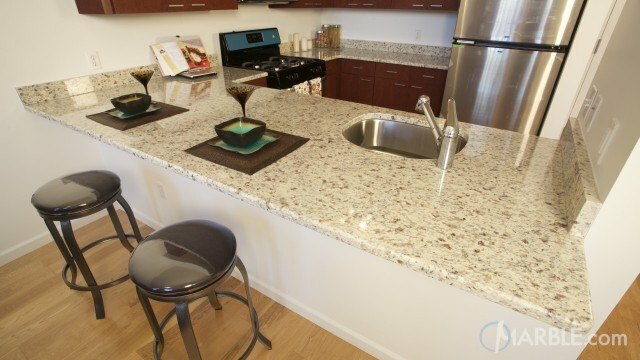 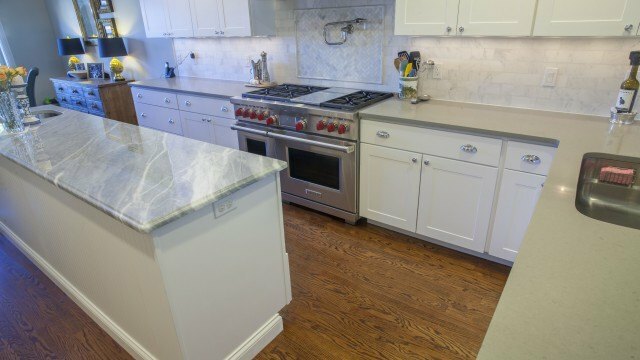 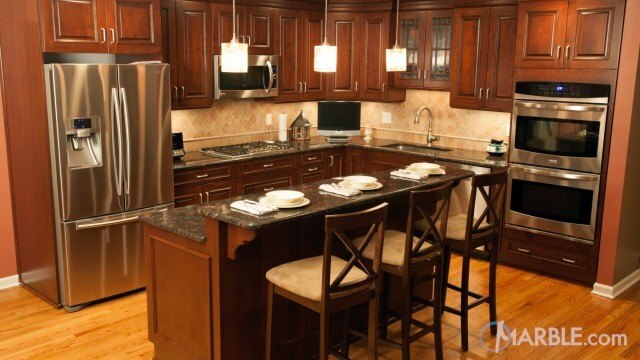 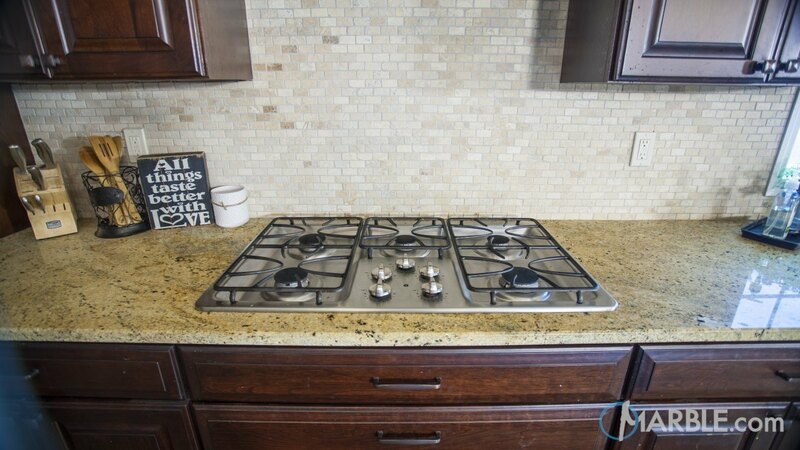 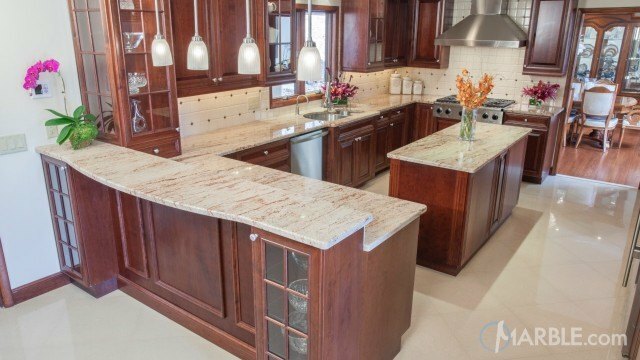 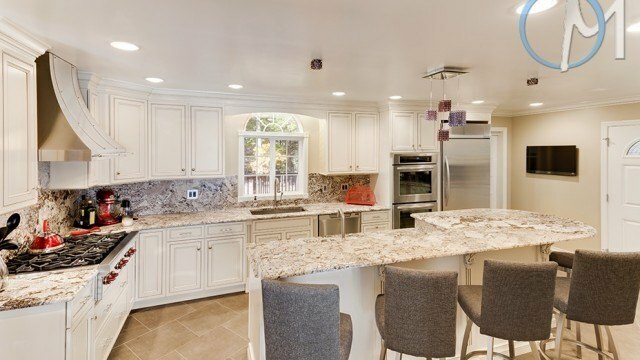 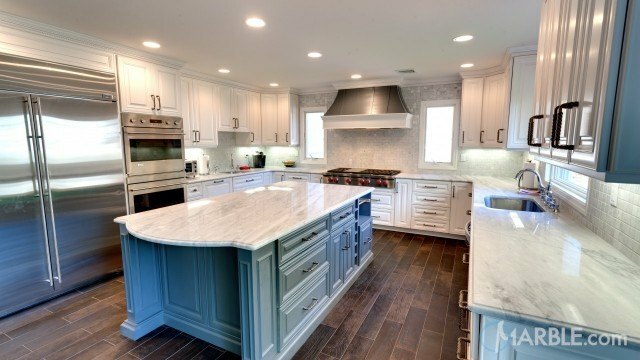 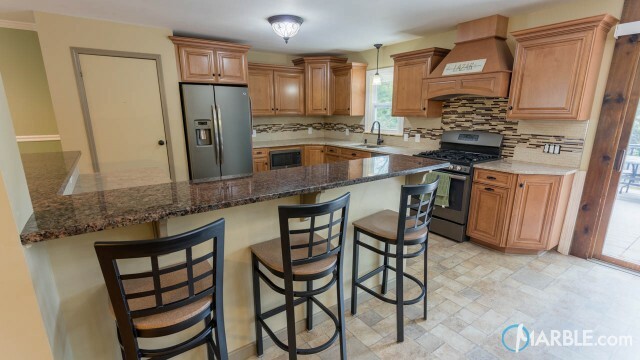 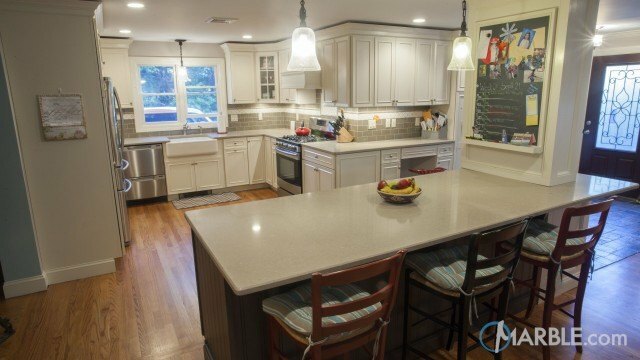 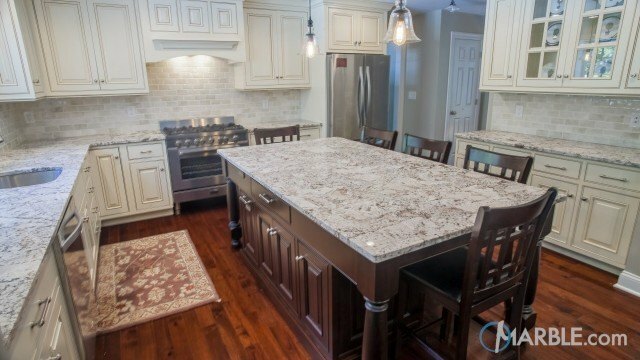 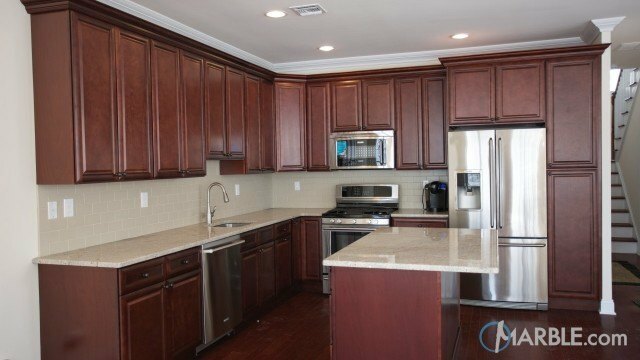 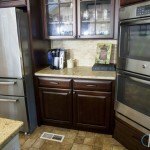 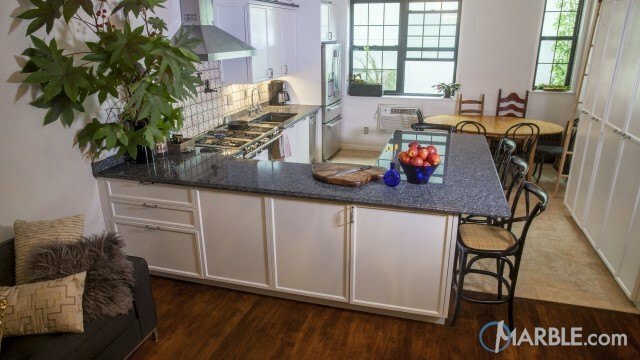 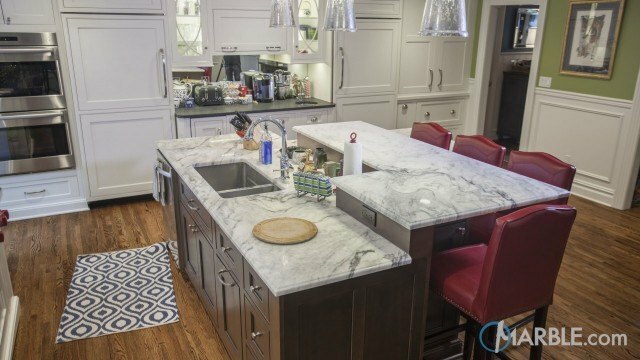 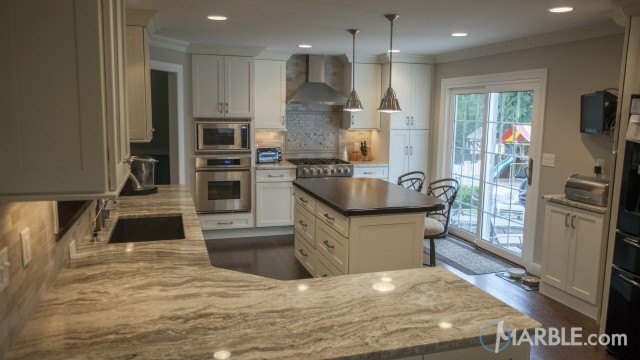 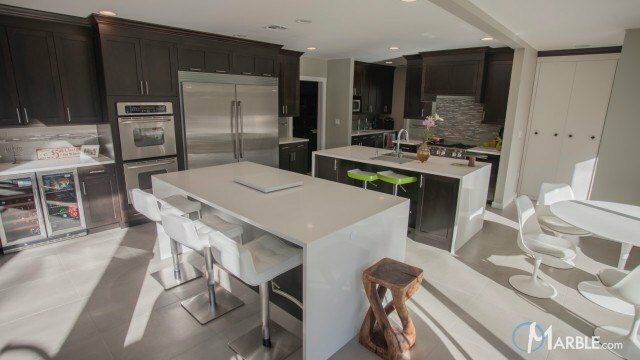 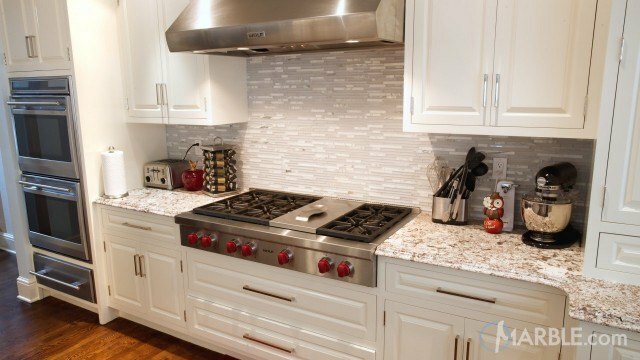 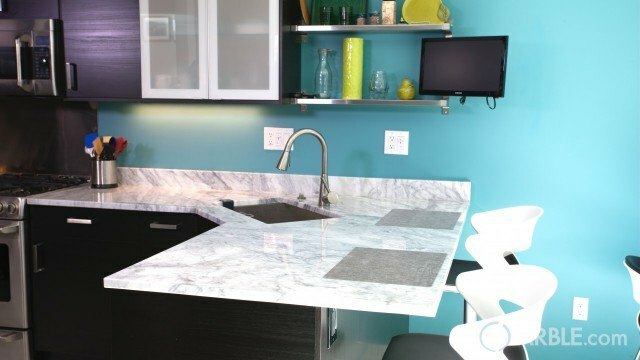 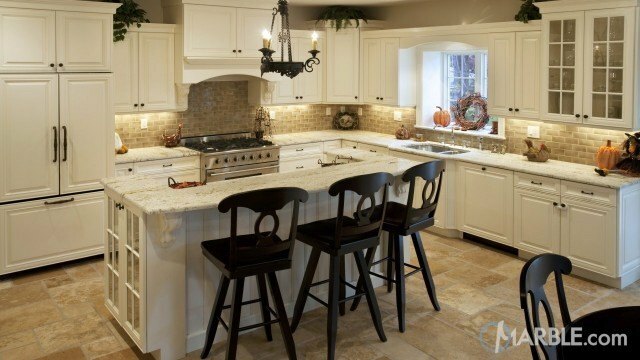 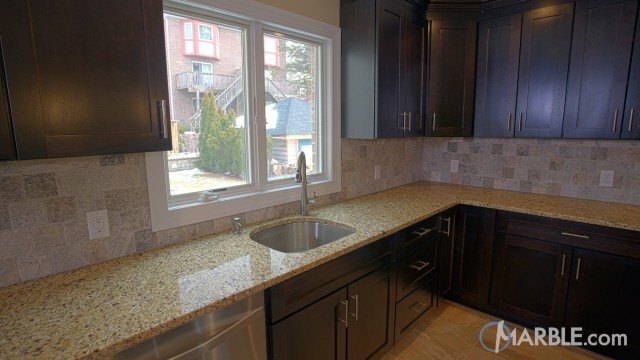 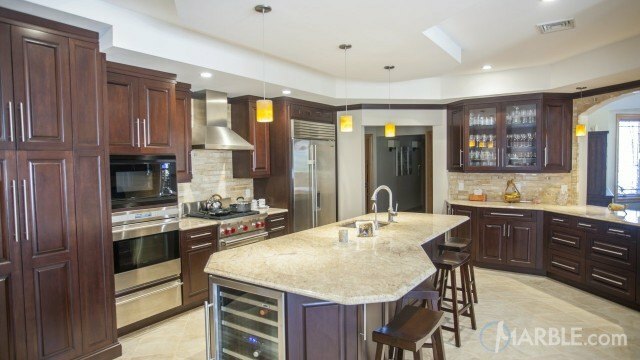 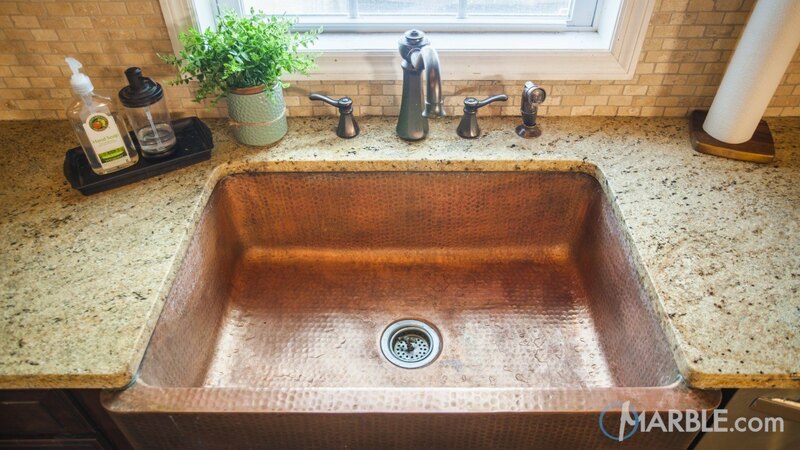 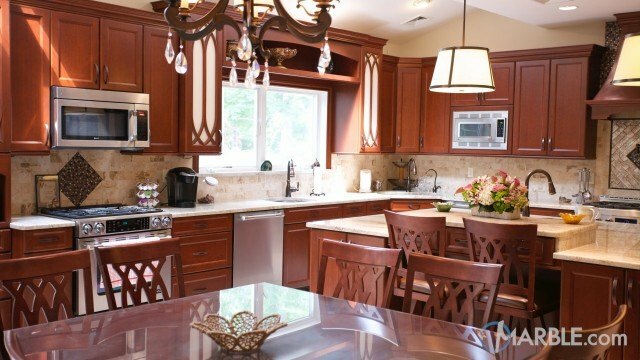 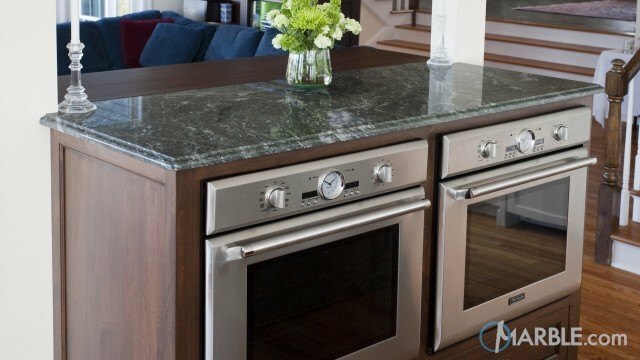 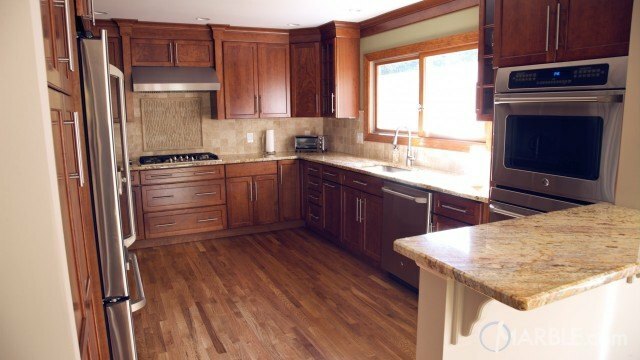 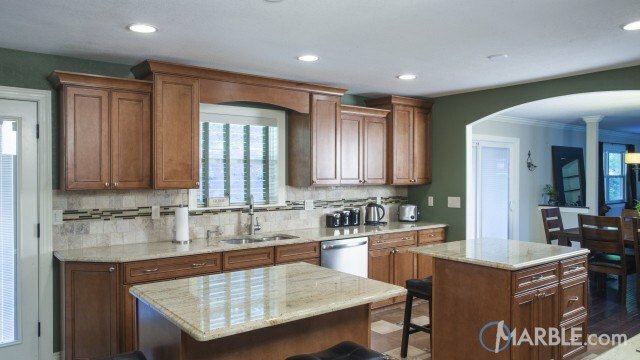 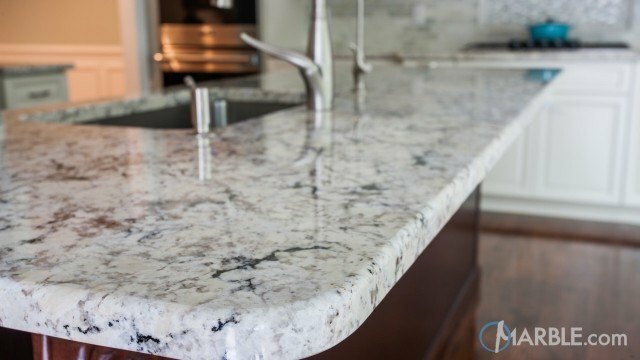 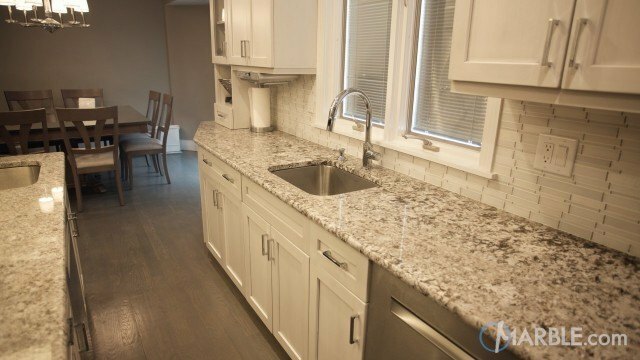 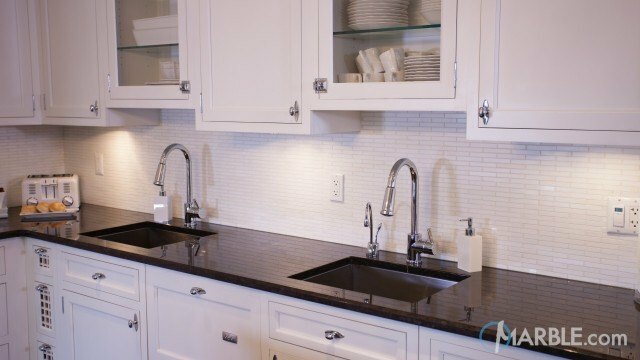 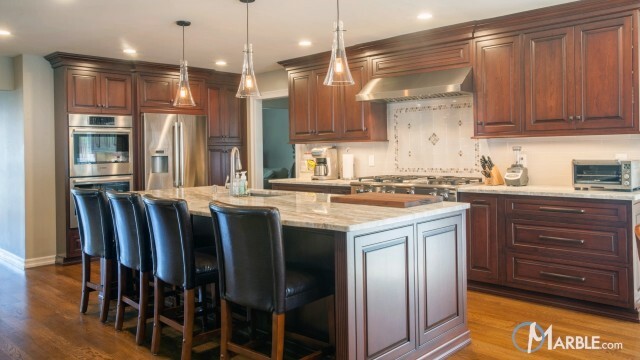 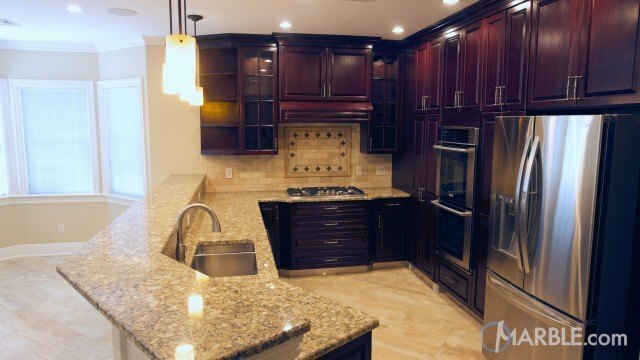 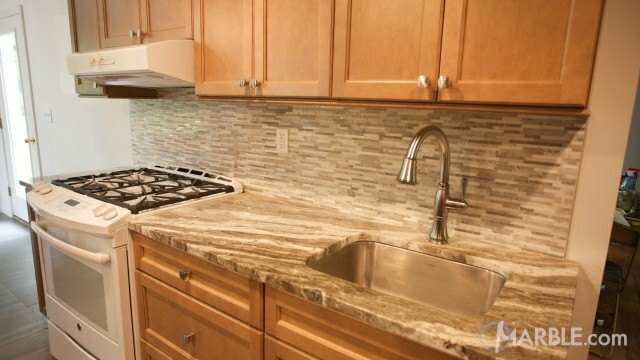 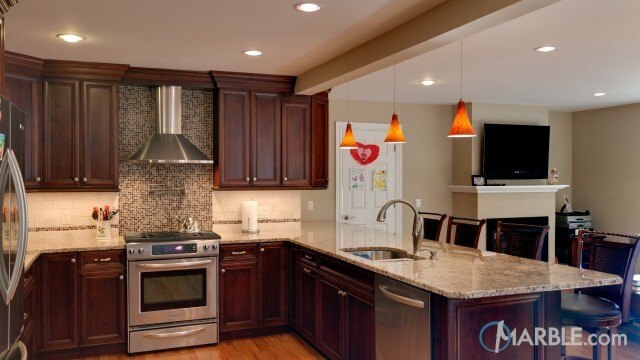 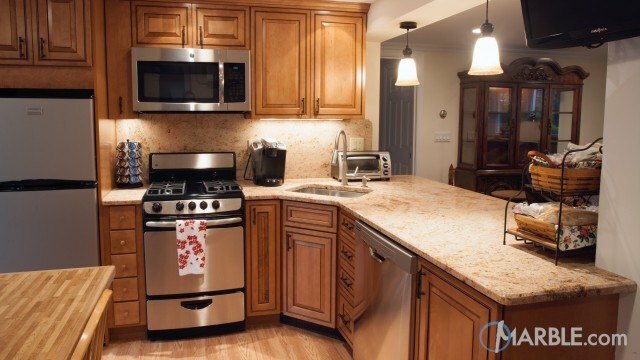 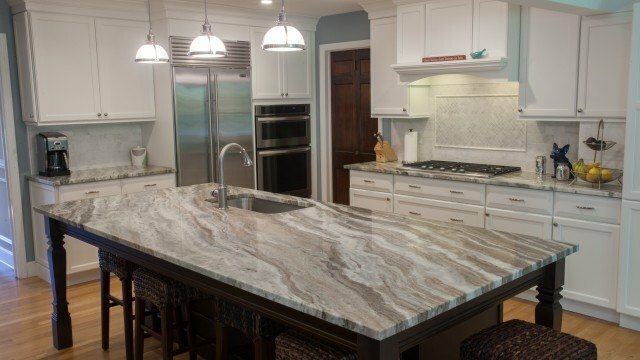 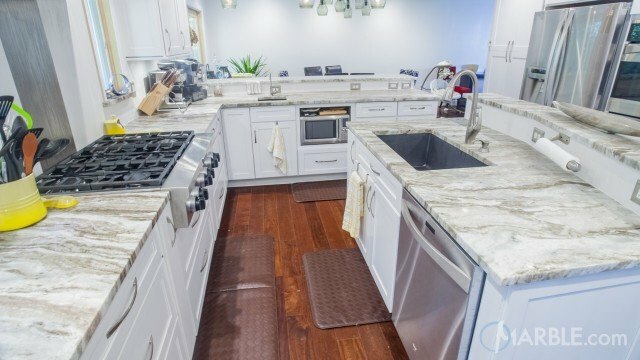 The island features custom details which are great for functionality and appearance. 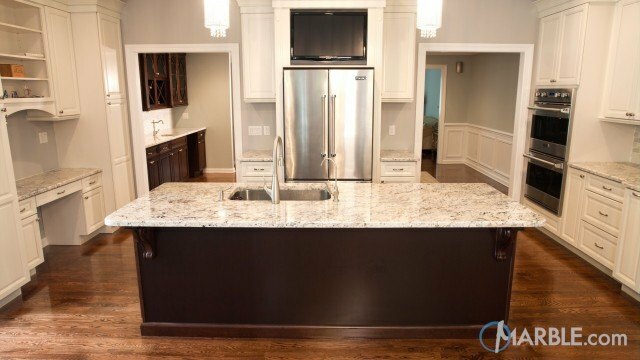 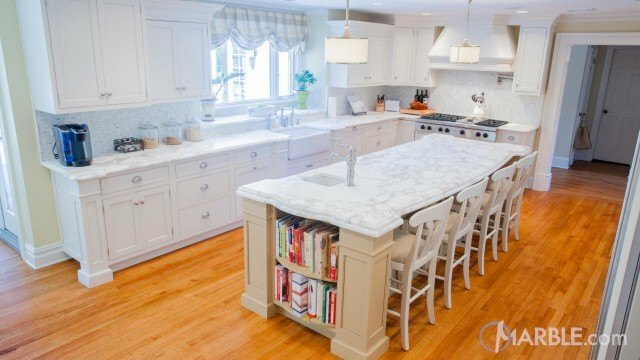 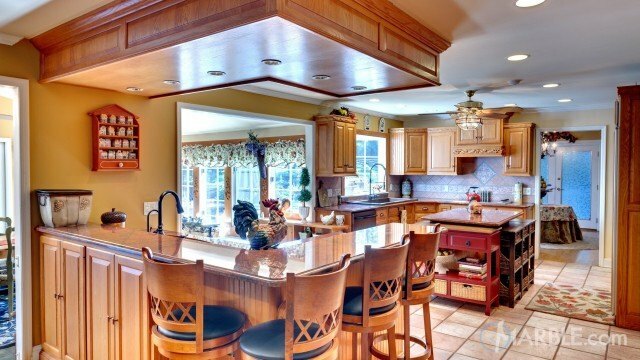 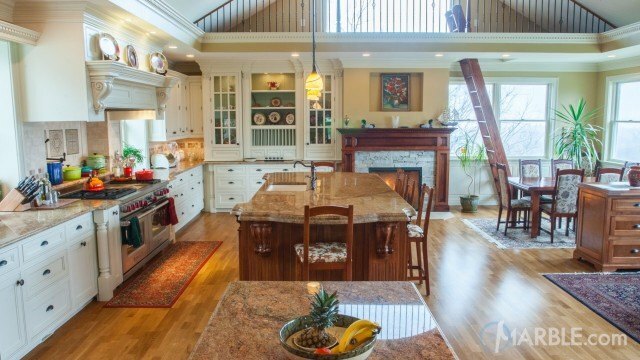 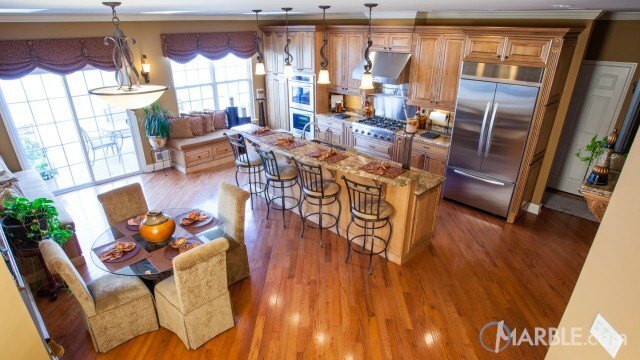 The two level island separates the work areas from the eating areas. 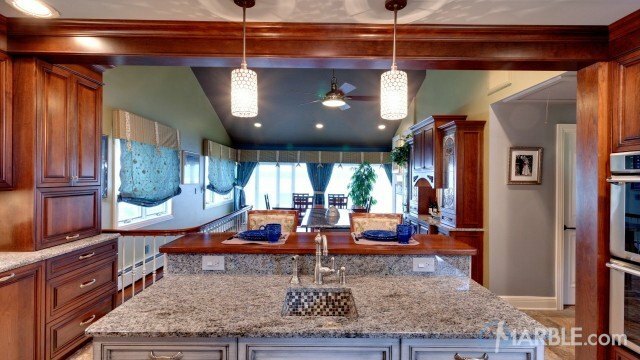 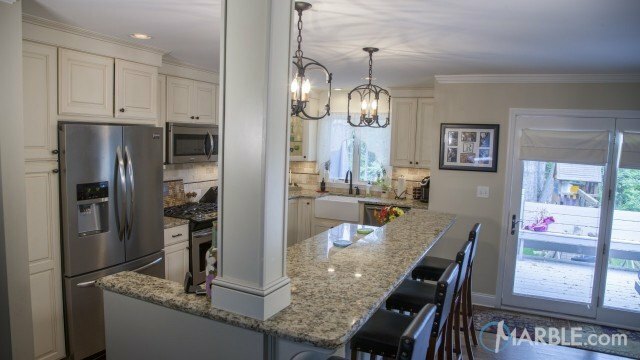 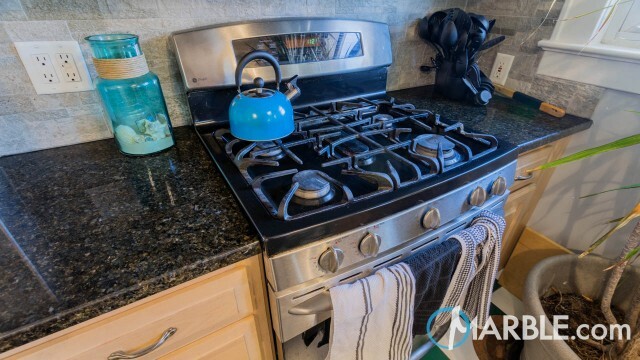 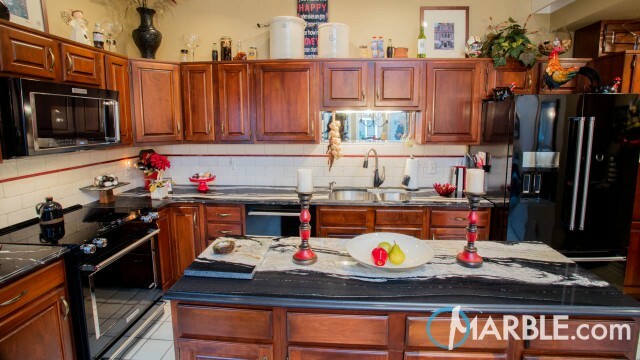 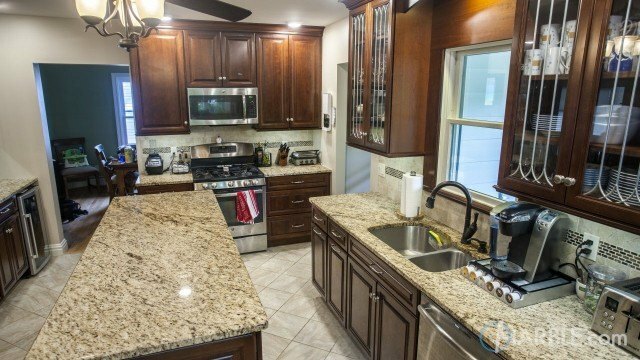 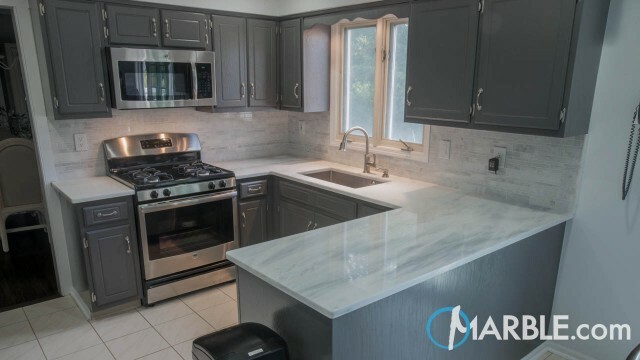 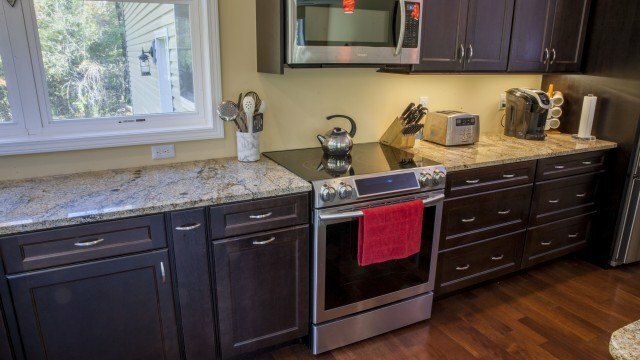 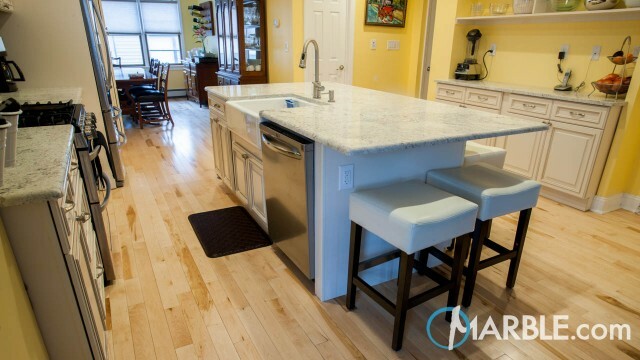 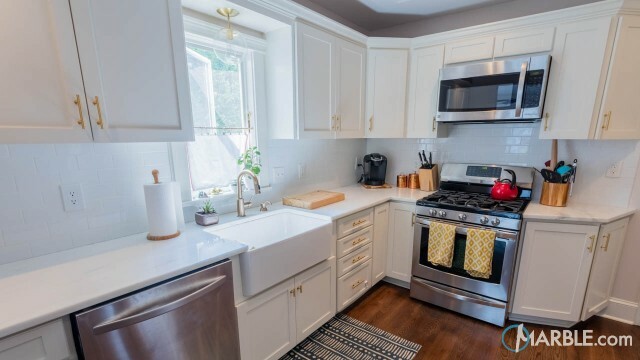 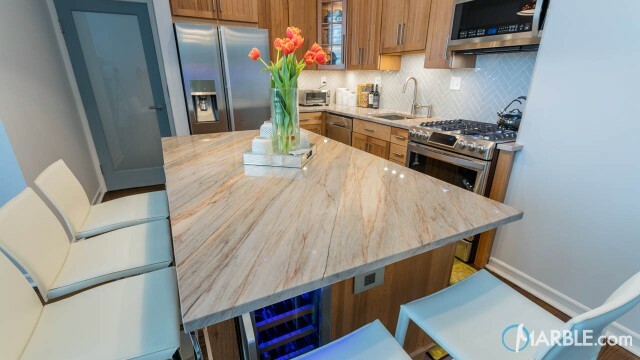 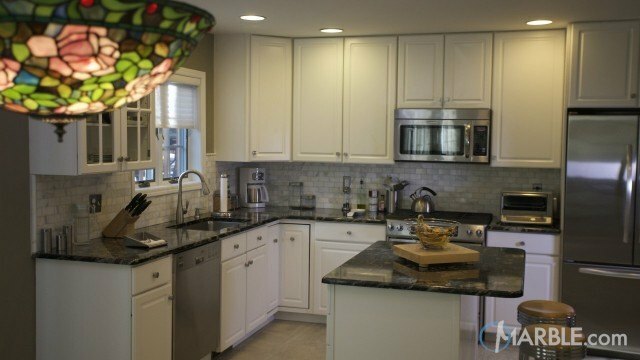 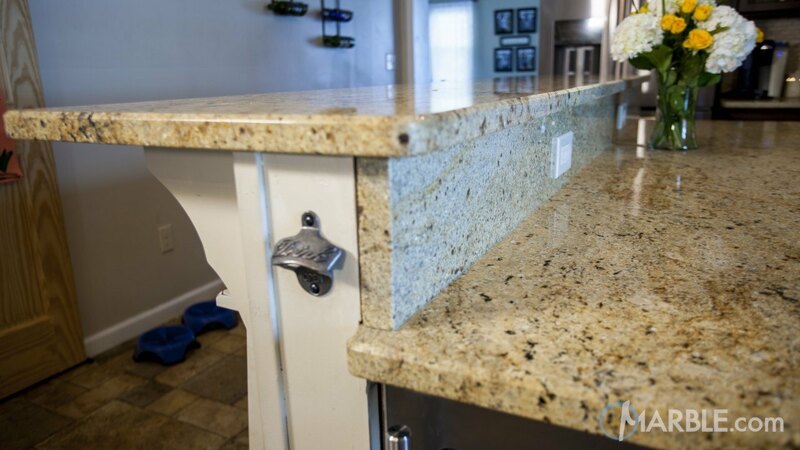 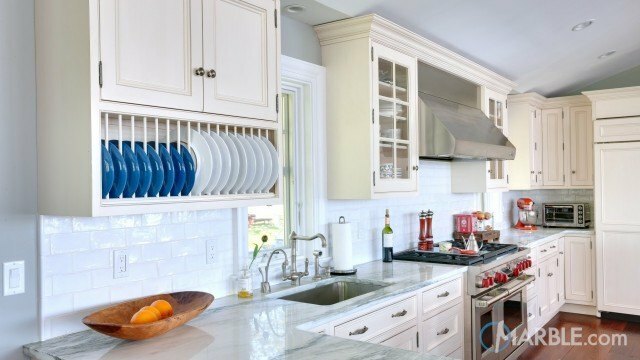 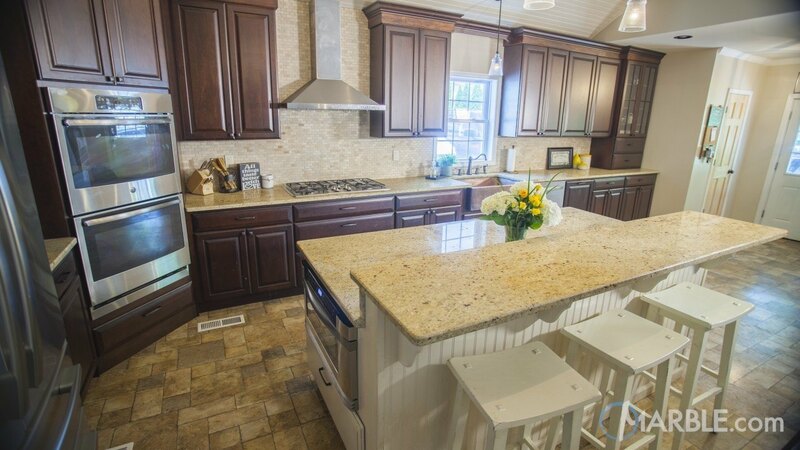 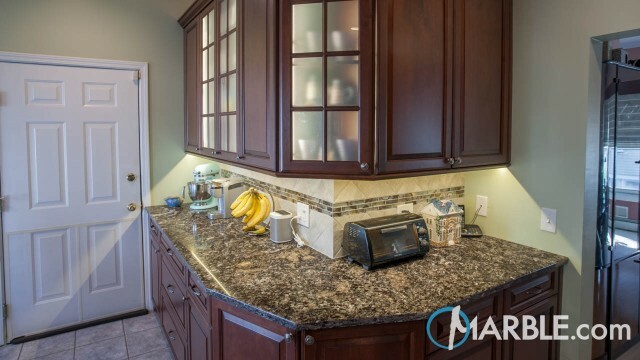 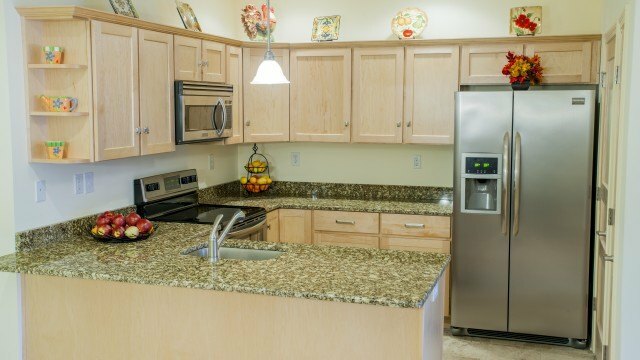 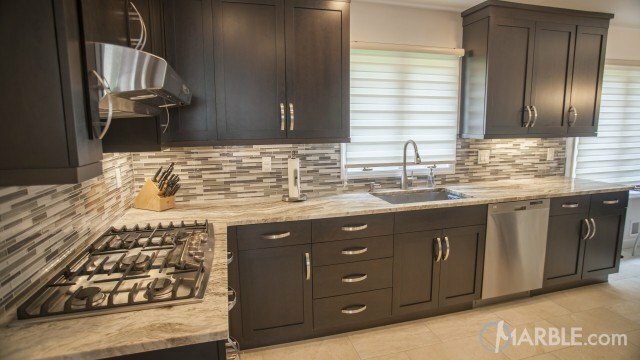 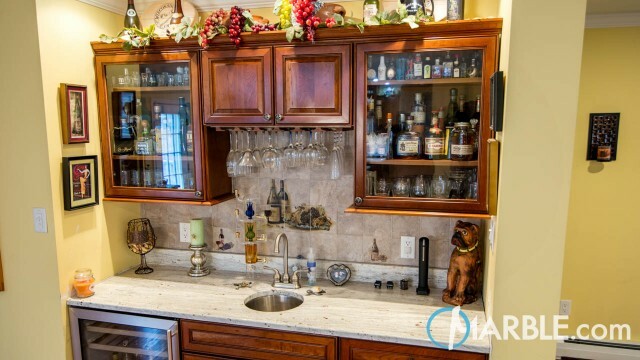 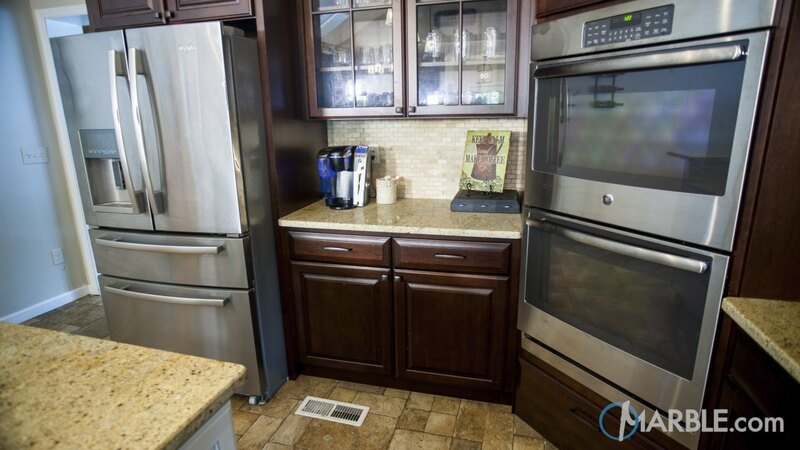 The fridge and bottle opener located in the island saves on space and makes for easy access.